Journals | Books | Conferences | Cases | Reports | Courseware | Talks | C.V.
J-3. “IDES: Influence Diagram Based Expert System,” (with A. Rege), Mathematical Modelling, Vol. 8, 1987, pp. 227-233. Download pdf of paper. Citations. J-9. “A Generalization and Correction of the Welded Beam Optimal Design Problem Using Symbolic Computation,” (with A. Almgren), ASME Journal of Mechanisms, Transmissions, and Automation in Design, Vol. 111 (1), March 1989, pp. 137-140. Citations. J-22 “An Intelligent Real Time Design Methodology for Component Selection,” (with S. Bradley). ASME Trans., Journal of Mechanical Design, Dec. 1994, Vol. 116, pp. 980-988. (Also published in ASME `91 Design Theory and Methods, ASME DE-Vol. 31, 1991, pp. 201-208; Winner of ASME DTM `91 Best Paper Award). Download pdf of published version. Citations. J-28 “The National Engineering Delivery System (NEEDS): A Multimedia Digital Library of Courseware,” (with B. Muramatsu), International Journal on Engineering Education, Vol. 13 No. 5, 199, 1997, pp. 333-340. Citations. J-30 “Bridging Diverse Institutions, Multiple Engineering Departments, and Industry: A Case Study in Developing an Assessment Plan for the Synthesis Coalition,” (with Flora McMartin and Eric Van Duzer), Journal of Engineering Education, Vol. 87, No. 2, April 1998, pp. 157-163. Citations. J-31 “Supporting Mechanical Reasoning with a Representationally-Rich Learning Environment,” (with A. McKenna), Journal of Engineering Education, Oct. 1998, pp. 437-444. (Updated version of Proceedings Paper P-56; Won ‘best paper’ award at ASEE’97.) Citations. J-32 “Fuzzy Belief Nets,” (with K. Goebel), International Journal of Uncertainty, Fuzziness, and Knowledge Systems, Vol. 8, No.4, pp.453-469, 2000. Citations. Pre-Publication version. J-37 “Modeling Engineering Information Needs”, (with Song, Shuang and Andy Dong), Journal of Computing and Information Science in Engineering, 2, No. 3, Sept. 2002, pp. 199-207. Citations. Pre-publication version. J-38 “A Document Analysis as a Means for Predicting Design Team Performance,” (with A. Dong, and A.W. Hill), ASME Journal of Mechanical Design, Vol. 126, May 2004, pp. 378-385. Citations. J-39 “Perceptions of the Design Process: An Examination of Gendered Aspects of New Product Development“, (with Newman, C., M. Bauer, and J. Mankoff), International Journal of Engineering Education, Vol. 20, No.2, pp. 452-460, 2004. Citations. Slide Presentation. J-40 “Supporting Mechanical Reasoning with a Representationally-Rich Learning Environment”, (with A. McKenna), Journal of Engineering Education, ASEE, Vol. 93, No. 2, pp. 97-104, April 2004. Citations. Pre-publication version. J-41 “Decision-Based Conceptual Design: Modeling and Navigating Heterogeneous Design Space,” (with W.H. Wood) ASME Journal of Mechanical Design, Vol. 127, Issue 1, Jan. 2005, pp. 2-11. Citations. J-42 “Resonant Accelerometer with a Two-stage Microleverage Mechanisms Fabricated by SOI-MEMS Technology,” (with Su, S.X.P., H.S. Yang and A.S. Hou), IEEE Sensors Journal, Dec. 2005. Citations. J-43 “Engineering Design Thinking, Teaching, and Learning,“ (with C. Dym, O. Eris, D.D. Frey,and L.J. Leifer), Journal on Engineering Education, ASEE, Jan. 2005, v. 94, no. 1, pp. 103-120. Citations. J-44 “Triangulation of Indicators of Successful Student Design Teams,” (with S. Song and J. Hey). International Journal of Engineering Education, ISSN 0949-149X, vol. 22 (3), 2006, pp. 617-625. Citations. J-45 “Intelligent Office Lighting: Demand-Responsive Conditioning and Increased User Satisfaction”, (with J. Granderson). LEUKOS Journal, IESNA (Illuminating Engineering Society of North America) vol. 2 (3), Jan. 2006. Pre-publication version (pdf). Citations. J-46 “Designing Mobile Digital Library Services for Pre-Engineering and Technology Literacy”, (with J. Hey, C. Newman, J. Sandhu, C. Daniels, and J.-S. Hsu), International Journal of Engineering Education, Special Issue on Mobile Technologies for Engineering Education, Vol. 23 (3), pp. 441-453, 2007. Citations. J-48 “Enabling and Characterizing Twenty-First Century Skills in New Product Development Teams”, (with C. Cobb, S. Beckman and L. Speer), International Journal of Engineering Education, Vol. 24 (2), February 2008, pp. 420-433. Citations. J-49 “Analogies and Metaphors in Creative Design”, (with J. Hey, J. Linsey, and K.L. Wood), International Journal of Engineering Education, Vol. 24 (2), February 2008, pp.283-294. Citations. J-50 “Tangible Interactions in a Digital Age: Medium and Graphic Visualization in Design Journals,” (with L. Oehlberg and K. Lau), Engineering Design, Automation and Manufacturing (AIEDAM), Vol. 23 (3), 2009, pp. 237-249. Citations. J-51 “Sketching in Design Journals: An Analysis of Visual Representations in the Product Design Process”, (with K. Lau and L. Oehlberg), Engineering Design Graphics Journal, Vol. 73 (3), pp. 23-29, 2009. (Updated version of P-127.) Citations. J-53 “Hierarchical Component-Based Representations for Evolving Micro-electromechanical Systems Designs” (with Y. Zhang), AI EDAM (AI in Engineering Design, Automation and Manufacturing), Vol. 25, 2011, pp. 41-55 Citations. J-54 “Case-based Reasoning for Evolutionary MEM Design” (with C.L. Cobb), ASME Journal of Computing and Information Science in Engineering, Vol. 10 (3), September 2010, pp. 031005-1-031005-10. Pre-publication version of paper. Citations. J-55 “Control of a Wireless-Networked Lighting System in an Open-plan Office”, (with Y.-J. Wen), Journal of Lighting Research and Technology, Vol. 43 (2), June 2011, pp. 235-248. Citations. Won the Leon Gaster Best Paper Award for Lighting Technology, 2011. J-57 “Personalized Dynamic Design of Networked Lighting for Energy-Efficiency in Open-Plan Offices” (with Y.-J. Wen), Energy and Buildings, Vol. 43 (8), August 2011, pp. 1919-1924. Citations. J-58 “Intelligent Support for Product Design: Looking Backward, Looking Forward”, (with C.C. Hayes, A. Goel, Irem Tumer, W. Regli), Journal of Computing and Information Science in Engineering, ASME, Vol. 11 (2) June 2011, pp. 021007-1/9. Citations. J-66 “What Alumni Value from New Product Development Education: A Longitudinal Study,” (with Cobb, C.L. J. Hey, S.L. Beckman and S.-Y. Kim), Advances in Engineering Education, special issue on Innovation and Entrepreneurship, ASEE, 5 (1), pp. 1-37, 2016. J-71 “Design Thinking in Development Engineering”, (with D. I. Levine, M.A. Lesniewski), International Journal of Engineering Education, 32 (3B), pp. 1396-1406, 2016. Pre-publication version. J-72 “Design Practitioners’ Perspectives on Methods for Ideation and Prototyping”, (with S. Beckman, C. Castaños, J. Kramer, C.Roschuni, M. Yang), International Journal of Engineering Education, 32 (3B), pp. 1428-1437, 2016. Pre-publication version. J-73 “Design Roadmapping: A Framework and Case Study of Planning Development of High-Tech Products in Silicon Valley”, (with E. Kim, J. Chung, S. Beckman), ASME Transactions, Journal of Design, 138 (10),Paper No: MD-16-1041, 2016. doi: 10.1115/1.4034221. J-75 “Concept Clustering In Design Teams: A Comparison Of Human and Machine Clustering,” (with C. Zhang, Y. P. Kwon, J. Kramer, E. Kim), ASME Journal of Mechanical Design, special issue on data-driven design, 139 (11), MD-17-1159; doi: 10.1115/1.4037478 (Updated version of conference paper #P-191). J-76 “Design Roadmapping in an Uncertain World: Implementing a Customer Experience-Focused Strategy,” (with E. Kim, S. Beckman), California Management Review, Special Issue on “Management Innovation in an Uncertain World”, Fall 2018, preview version. J-77 “Diagnosing and Predicting Wind Turbine Faults from SCADA Data Using Support Vector Machines,” (with K. Leahy, L. Hu, I.C. Konstantakopoulos, C.J. Spanos, and D.T.J. O’Sullivan), International Journal of Prognostics and Health Management, 9 (1), 2018. J-78 “Building 21st Century Skills through Development Engineering”, (with Gordon, P., J. Kramer, R. Dzombak, S. Martin), 34 (2B), International Journal of Engineering Education, in press, pp. 619-631. (journal version of conference proceedings P-187). Pre-publication (pdf). J-80 “Machine Learning for Automated Sensor Selection for Energy Faulty Detection” (with L. Hu, J. Granderson, D.M. Auslander), Journal of Applied Energy, 235, pp. 117-128, 2019. ISSN 0306-2619. B-4. “Inducing Optimally Directed Non-Routine Designs”, (with J. Cagan) in Modeling Creativity and Knowledge-Based Creative Design, (Gero, J.S. and M.L. Maher, eds. ), Lawrence Erlbaum Associates, 1993, pp. 273-293. Citations. B-5. Design for Manufacture: Reducing Life Cycle Costs While Improving Time to Market and Product Quality, Agogino, A.M. (editor), ASME, DE-Vol. 51, 1992. B-10 Educating the Engineer of 2020: Adapting Engineering Education to the New Century , National Academy Press, 2005. ( Committee Report). Citations. B-11 “Evolutionary Synthesis of Micromachines Using Supervisory Multiobjective Interactive Evolutionary Computation”, (with Kamalian, R., Y. Zhang, H. Takagi), Lecture Notes on Artificial Intelligences, Springer Berlin/ Heidelberg Publishers, Vol. 3830, 2006, pp. 428-437. Citations. B-12 Biological, Social and Organizational Components of Success for Women in Academic Science and Engineering, National Academy Press, 2006. Report of the National Academies’ Committee on Maximizing the Potential of Women in Academic Science and Engineering. B-13 Beyond Bias and Barriers: Fulfilling the Potential of Women in Academic Science and Engineering, National Academy Press, September 18, 2006. Report of the National Academies’ Committee on Maximizing the Potential of Women in Academic Science and Engineering. This report has received considerable press coverage, including print, radio, television, and blogs. Citations. B-14 “Knowledge-Based Evolutionary Linkages in MEMS Design Synthesis”, (Cobb, C.L., Y. Zhang, A. M. Agogino, J. Mangold), chapter in book: Linkage in Evolutionary Computation, (Springer Berlin / Heidelberg, ISBN 978-3-540-85067-0) Volume 157/2008, pp. 461-483. Citations. B-16 “Human Performance Modification: Review of Worldwide Research with a View to the Future,” National Research Council, (co-authored as part of Committee on Assessing Foreign Technology Development in Human Performance Modification; Board on Behavioral, Cognitive, and Sensory Sciences; Division on Engineering and Physical Sciences; Division of Behavioral and Social Sciences and Education), National Research Council, 2012. B-17 “From Science to Business: Preparing Female Scientists and Engineers for Successful Transitions into Entrepreneurship: Summary of a Workshop,” (co-authored with Committee on Women in Science, Engineering, and Medicine; Policy and Global Affairs), National Research Council, 2012. B-19 Career Choices of Female Engineers, (CSWEM Committee Report of Workshop), National Academies Press, 2014. B-21 “A Comparison of Two Transdisciplinary Human-Centered Design Approaches for Poverty Alleviation“, (with J. Vechakul). Chapter in The Future of Transdisciplinary Design (eds. L. Blessing, A.J. Qureshi and K. Gericke), Springer Publishing, 2016. ISBN 978-3-319-06381-2. Updated version of P-151. B-22 “Information and Communication Technologies as a Bridge between Global Designers and Local Users”, (with Y. Perez). Chapter in The Future of Transdisciplinary Design (eds. L. Blessing, A.J. Qureshi and K. Gericke), Springer Publishing, 2016. ISBN 978-3-319-06381-2. Updated version of P-152. B-23 “Sexual Harassment of Women: Climate, Culture, and Consequences in Academic Sciences, Engineering, and Medicine,” (National Academies’ Committee: Paula Johnson, Sheila Widnall, Alice Agogino, Nicholas Arnold, Gilda Barabino, Kathryn Clancy, Lilia Cortina, Amy Dodrill, Lisa Garcia Bedolla, Liza Gold, Melvin Greer, Linda Gundersen, Elizabeth Hillman, Timothy Johnson, Anna Kirkland, Ed Lazowska, Vicki Magley, Roberta Marinelli, Constance Morella, John Pryor, Billy Williams, Frazier Benya), National Academies Press, 2018. P-1. “Measurements of Technology Transfer and Dependence: Application to Mexico,” ASME# 82-WA/TS-8, ASME, Winter Annual Meeting, Nov. 14-20, 1982. P-2. “Use of Probabilistic Inference in Diagnostic Expert Systems,” Proceedings of the 1985 International Computers in Engineering Conference, ASME, 1985, Vol. 2, pp. 305-310. Citations. P-5. “Representing and Solving the Probabilistic Inference Problems in Expert Systems,” (with A. Rege) Proceedings of the ICS-86, International Computer Symposium, December 15-19, 1986, Tainan, Taiwan, IEEE, Vol. 3, pp. 1685-1691. P-6. “A Graphical Interface to an Influence Diagram Based Expert System,” (with M. Lambert), Proceedings of the Second International Conference on Human-Computer Interaction, August 1987, p. 324. P-7. “Symbolic Computation in Computer-Aided Optimal Design,” (with A. Almgren) Expert Systems in Computer-Aided Design, ed. by J.S. Gero, North-Holland, Amsterdam, 1987, pp. 267-284. Citations. P-9. “Expert Systems Applied to Rehabilitation Engineering: A New Approach to the Evaluation of Control,” (with Hsi, S., M. Barker and B. Yazdani-Kachoee), Proceedings of the RESNA 10th National Conference, June 1987, pp. 148-150. Citations. P-11. “ADIS: Assistive Device Interface Selector for the Disabled,” (with S. Hsi, M. Barker and B. Yazdani-Kachoee) Proceedings of the ASME International Computers in Engineering Conference,, Vol. 1, pp. 109-114, (July 31 – August 3, 1988, San Francisco, California). Citations. P-12. “Calibration of Fuzzy Linguistic Variables for Expert Systems,” (with P. Jain), Proceedings of the 1988 ASME International Computers in Engineering Conference, Vol. 1, pp. 313-318. Citations. P-13. “CVAID: An Expert System For Diagnosis and Repair of a Car Valve Actuator,” (with R. Paasch, K. Swanson, R.E. Heiskell, J. M. Quinto and R.G. Taylor) Proceedings of the 1988 ASME International Computers in Engineering Conference, Vol. 1, pp. 349-353. P-17. “AI/OR Computational Model for Integrating Qualitative and Quantitative Design Methods,” (with S.R. Bradley, J. Cagan, P. Jain, and N. Michelena), Proceedings of the NSF Engineering Design Research Conference (Amherst, MA, June 1989), pp. 97-112. .
P-18. “Why AI-Design Researchers Should Distinguish Between Creative, Innovative and Routine Levels of Design,” (with J. Cagan), Position Papers of the Workshop on Research for AI in Design (Stanford University, March 25, 1989; J.S. Gero, coordinator), 1989, pp. 43-51. Citations. P-21. “A Fault Location System for a Time of Flight Detector Array,” Computer Physics Communications, (with D. Hall, W. Greiman, W.F. Johnson, D. Olson, R. Paasch, A. Padgaonkar, and D.W. Robertson) Vol. 57, Nos. 1-3, pp. 499-502, pp. 1989. Citations. P-22. “Expert Advisor for Configuring Information Display Systems,” (with R. Stieber and J. Sullivan), Proceedings of the ASME International Computers in Engineering Conference (August 5-9, 1990 in Boston, Massachusetts ), pp. 341-348. Citations. P-25. “Intelligent Real Time Design: Application to Prototype Selection,” (with S. Bradley), Proceedings of the First International Conference on Artificial Intelligence in Design, (ed., J. S. Gero) Butterworth- Heinemann Publishers, Oxford, 1991, pp. 815-837. Citations. P-35. “Navigational Issues in Multimedia Case Studies of Engineering Design,” (with S. Hsi), Proceedings of HCI International `93 (5th International Conference on Human-Computer Interaction, Orlando, Florida; Aug. 8-13, 1993), pp. 764-769. Citations. P-46 “ People, Product and Process: Interactive Multimedia Case Study in Integrated Design and Manufacturing Strategies,” (with D. Johnston and R. Stanard), Engineering Education for the 21st Century: Proceedings of Frontiers in Education, FIE’95, ASEE/IEEE, pp. 3a2.22-3a2.26. P-50 “A Machine Learning Approach to Automated Design Classification, Association and Retrieval,” (with A. Varma and W.H. Wood). Artificial Intelligence in Design ’96, Kluwer Academic Publishers, pp. 429-445, 1996. Citations. P-51 “A Model for Concurrent Information Exchange Based on the Method of Temporal Differences,” (with A. Varma), Proceedings of the Tenth Florida Artificial Intelligence Research Symposium : Special Track on Models and Applications for Design, (May 10- 14th, 1997, Daytona Beach, Florida), pp. 106-120. P-55 “Optimal Safety Decision Making in Advanced Vehicle Control Systems,”(with S. Chao), Proceedings of the 36th IEEE Conference on Decision and Control (Dec. 10-12, 1998, San Diego, CA), IEEE, New York, NY, Cat. No. 97CH3612, Vol. 5, 1997, p. 4788-9. P-59 “Hazard Diagnosis in Advanced Vehicle Control Systems,” (with S. Chao), Proceedings of the IASTED International Conference on Applied Modelling and Simulation, (August 12-14, 1998), pp. 229-232. Related presentation slides titled “Sensor Modelling and Fusion, and Applications to Hazard Diagnosis for AVCS” at the PATH Program-Wide Research Meeting Richmond Field Station, UC Berkeley, November 5-7, 1998. P-67 “Fusion of Bayesian andd Fuzzy Analysis for Print Defect Diagnosis” (with Shijun Qiu, Shuang Song, Jialong Wu, Shankaran Sitarama), Proceedings of the ISCA 16th International Conference on Computers and Their Applications, Seattle, Washington, USA, March 28-30, 2001, pp 229-232. Citations. P-68 “A Framework for Interpreting Students’ Perceptions of an Integrated Curriculum,” (with Ann McKenna, Flora McMartin, Youki Terada and Vanravi Sirivedhin), Proceedings of ASEE 2001, ASEE CD ROM (Session 1330). P-69 “Theater Class Helps Transform the Climate for Diversity in Engineering,” (with Edith Ng and Carla Trujillo), Proceedings of ASEE 2001, CD ROM (Session 2592). P-81 “Perceptions of the Design Process: An Examination of Gendered Aspects of New Product Development“, (with Newman, C., M. Bauer, and J. Mankoff), Designing Engineering Education (Proceedings of the Mudd Design Workshop IV), CD ROM, 2003. An updated version was published as International Journal of Engineering Education and listed as J-39. P-82 “Time Variance of Design ‘Story Telling’ in Engineering Design Teams,” (with Shuang Song and Andy Dong), Proceedings of the International Conference on Engineering Design (ICED), the Design Society, CD ROM, 2003. Citations citations. P-84 “Automating Keyphrase Building with Multi-Objective Genetic Algorithms” (with J. Wu), Proceedings of the Hawaii International Conference on System Science, HICSS, CD ROM, 2003. P-85 “A Case Study of Policy Decisions for Federated Search Across Digital Libraries,” (with A. Dong and E. Fixler), Proceedings of ICDL 2004 (International Conference on Digital Libraries), The Energy and Resources Institute, Vol. 2, 892-898, 2004. Citations. P-93 “Fuzzy Validation and Fusion for Wireless Sensor Networks,” (with Y.J. Wen, A.M. Agogino and K. Goebel), Proceedings of the ASME International Mechanical Engineering Congress (Nov. 13-19, 2004; Anaheim Hilton). Citations. P-96 “Best Practices in the Design, Development and Use of Courseware in Engineering Education,” (with Teng, X., J.G. Tront, and B. Muramatsu), Proceedings of FIE2005, Session F2E. Citations. P-97 “Integrating Education, Research, and Outreach: Exemplars from the NSF Distinguished Scholars Program,” (with L. Jamieson, G. Kalonji, D.F. Ollis, H.V. Poor, S.E. Powers, and C. Rodgers), Extended Abstract in Proceedings of the Frontiers in Education Conference 2005, ASEE/IEEE, Session F1A (October 19-22, 2-5, Indianapolis, IN). P-101 “Comparison of Event Detection Methods for Centralized Sensor Networks”, (with J. Sauvageon, A.F. Mehr and I. Tumer), Proceedings of the Sensors Applications Symposium 2006, 7-9 Feb. 2006 CD ROM, Paper #6028, IEEE and Instrumentation & Measurement Society, IEEE and Instrumentation & Measurement Society, IEEE Catalog Number: 06EX1234C; ISBN: 0-7803-9581-6, pp. 93-100. Citations. P-102 “Towards Embedded Wireless-Networked Intelligent Daylighting Systems for Commercial Buildings,”, (with Y.-J. Wen and J. Granderson) Proceedings of the IEEE International Conference on Sensor Networks, Ubiquitous, and Trustworthy Computing, IEEE Computer Society, #0-7695-2553-9/06, 2006. Citations. P-105 “An Analysis of Student Reflections from a Multidisciplinary New Product Development Teams”, (with J. H. Hey and A.P Van Pelt), Proceedings of the IDETC/Design Education 2006, Paper #DETC2006-99561, CD ROM ISBN 0-7918-3784-X, ASME. P-108 “Unblinking in Mobile Learning,” (with J.-S. Hsu, C. Daniels, C.-E. Montgomery, P. Mackinney, and A. A. Gieringer), accepted for the conference UnBlinking: New Perspectives on Visual Privacy in the 21st Century, A Cross-Disciplinary Symposium at UC Berkeley, 3-4 November 2006. Slide presentation (pdf). P-110 “Enabling and Characterizing Twenty-First Century Skills in New Product Development Teams”, (with C. Cobb, S. Beckman and L. Speer). Design and Engineering Education in a Flat World”, Proceedings of the 2007 Mudd Design Workshop IV (23-25 May 2007). Citations. P-111 “Analogies and Metaphors in Creative Design”, (with J. Hey, J. Linsey, and K.L. Wood). Design and Engineering Education in a Flat World”, Proceedings of the 2007 Mudd Design Workshop IV (23-25 May 2007). Citations. P-112 “Longitudinal Study of Learning Outcomes: A Comparison of Lessons Learned in a New Product Development Class with Impact after Professional Experience”, (with C. Cobb and S. Beckman), Proceedings of the ASME DETC (Design Engineering Technical Conference, CD ROM, ISBN 07-7918-3806-4, Paper# DETC2007-34456, 2007. Citations. P-113 “Metaphors and Conceptual Design”, (with J. Hey), Proceedings of the ASME DETC Conference, ASME DETC (Design Engineering Technical Conference, CD ROM, ISBN 07-7918-3806-4, Paper# DETC2007-34874, 2007. Citations. P-114 “Use of IEC with Simplified Modeling for Computationally Expensive Layout Design Optimization,” (with R. Kamalian and H. Takagi), Proceedings of the 2007 IEEE Congress on Evolutionary Computation (CEC2007), Singapore, 2007, ISBN: 1-4244-1340-0, Paper# 1556, pp. 4124-4129. Citations. P-115 “Case-Based Reasoning and Object-Oriented Data Structures Exploit Biological Analogs to Generate Virtual Evolutionary Linkages”, (with C.L. Cobb, Y. Zhang, and J. Mangold), Proceedings of the 2007 IEEE Congress on Evolutionary Computation (CEC2007), Singapore, ISBN: 1-4244-1340-0, Paper# 1784, pp. 334-341, 2007. P-116 “ABET Alignment of Learning Resources in the Engineering Pathway Digital Library”, (with J-L Wu), Proceedings of the ASME Congress, 2007 (ISBN 0-7918-3812-9). P-117 “Mobile Learning and Digital Libraries: Designing for Diversity”, (with E. Datta), Proceedings of the ASME Congress, 2007 (ISBN 0-7918-3812-9). P-118 “Design First, Technology Second,” (with J. S. Sandhu), ACM, Computer-Human Interaction Conference, CHI 2008 (Florence, Italy, April 5-10, 2008). Citations. P-119 “Academic Climate and Advisor Support Affect the Quality of Womens’ Experiences in Graduate School,” (with Carolyn J. Sparrey, Beth Lopour, and Jenni M. Buckley), WEPAM (Women in Engineering Proactive Network), National Conference, 2008. P-120 “Broadening Participation in Computing with the K-Gray Engineering Pathway Digital Library”, (with M. Smith), abstract for poster session at JCDL 2008 (June 16-20, 2008, Pittsburgh, PA) ACM 978-1-59593-998-2/08/06. P-121 “Educating the Engineer of 2020,” Keynote Talk, abstract in the Proceedings of the 9th Biennial ASME Conference on Engineering Systems Design and Analysis, ESDA08 (July 7-9, 2008, Haifa, Israel). P-122 “META4EXPLORER: Generating Compelling Metaphors for Design”, (with E.M. Kolb, J. Hey and H.-J. Sebastian), Proceedings of the Design Engineering Technology Conference, ASME, 2008. Citations. P-123 “Design Team Framing: Paths And Principles”, (with J. Hey and J. Yu), Proceedings of the Design Engineering Technology Conference, ASME, 2008. Slide Presentation. Citations..
P-124 “Teaching Multinational, Multidisciplinary Sustainable Product Development”, (with V. Borja, S. Beckman, N. Shedroff, M. Lopz, A. Ramirez), Proceedings of the Design Engineering Technology Conference, ASME, 2008. Citations. P-125 “Wireless Networked Lighting Systems for Optimizing Energy Savings and User Satisfaction,” (with Y.-J. Wen), Proceedings of Wireless Hive Networks Conference, IEEE 978-1-4244-2849-6/08, 2008. Citations. P-126 “Energy Conservation Utilizing Wireless Dimmable Lighting Control in a Shared-Space Office”, (with Y-J Wen, J. Bonnell), Proceedings of the 2008 Annual Conference of the Illuminating Engineering Society, Savannah, GA 2008. Presentation Slides. Citations. P-127 “Sketching in Design Journals: Visual Representations in the Product Design Process,” (with K. Lau and L. Oehlberg), Proceedings of the ASEE Engineering Design Graphics Division Midyear Conference, 2009. Citations. P-129 “Framing Sustainability in Human-Centered Product Design,” (with L. Oehlberg and S. Beckman), Proceedings of the ASME 2009 International Design Engineering Technical Conference, 2009. P-130 “Relationship Conflict and Feeling Communication in Design Teams,” (with C. Roschuni, L. Oehlberg and S. Beckman), Proceedings of the ASME 2009 International Design Engineering Technical Conference, 2009. P-132 “The Co-Design of Water and Energy Efficient Sustainable Housing with the Pinoleville Pomo Nation,” (with Tobias C. Schultz, Ryan Shelby), Proceedings of the ASME International Sustainability Conferences, May 17-22, 2010, Phoenix, Arizona. P-137 “A Cross-National Investigation of Confidence in ABET Skills and Kolb Learning Styles: Korea and the United States” (with K. Lau and M.K. Thompson), Proceedings of ASEE 2011. Final with corrected numbers. P-138 “Teaching Human-Centered Design Innovation Across Engineering, Humanities and Social Sciences”, (with L. Oehlberg, I. Leighton, and B. Hartmann), Proceedings of Mudd Design 2011. P-139 “Diversity in Design Teams: An Investigation of Learning Styles and their Impact on Team Performance and Innovation”, (with K. Lau and S. Beckman), Proceedings of Mudd Design 2011. P-140 “Communicating Design Research: Framing Techniques”, (with C. Roschuni), abstract in Proceedings of Mudd Design 2011. P-144 “Mapping the Life Cycle Analysis and Sustainability Impact of Design for Environment Principles”, (with L. Oehlberg, C. Bayley, C. Hartman), in Leveraging Technology for a Sustainable World, Proceedings of the 19th CIRP Conference on Life Cycle Engineering (Eds., D. A. Dornfeld and B. S. Linke), ISBN 978-3-642-29068-8), 2012, pp. 221-226. P-145 “Dazzle: Supporting Framing in Co-Located Design Teams Through Remote Collaboration Tool”, (with L. Oehlberg, J.Jones and B. Hartman), Interactive Poster, Proceedings of the ACM 2012 Conference on Computer Supported Cooperative Work Companion , (Feb. 11-15, 2012, Seattle Washington), ACM, pp. 183-186. (ISBN: 978-1-4503-1051-2; doi: 10.1145/2141512.2141573). P-147 “Lessons Learned from Developing and Evaluating a Comprehensive Digital Library for Engineering Education”, (with Y. Zhang and S. Li), Proceedings of JCDL 2012, ACM-IEEE CS Joint Conference on Digital Libraries , (June 10-14, 2012, Washington D.C.), ACM, pp. 393-394, 2012. (doi: 10.1145/2232817.2232907). P-148 “Geocentric Contextualized Mobile Learning with the Engineering Pathway Digital Library”, (with K. Ryokai), Proceedings of the 2012 Australasian Association for Engineering Education (ASEE) Annual Conference, 3-5 Dec. 2012. P-149 “Inverse Modeling Using a Wireless Sensor Network (WSN) for Personalized Daylight Harvesting”, (with R. Paulson, C. Basu and S. Poll), in M. van Sinderen, O. Postolache, and C. Benavente-Peces (Eds. ), SENSORNETS 2013: Proceedings of the 2nd International Conference on Sensor Networks, Barcelona, Spain, 19-21 February 2013 (pp. 213-221). Portugal: SCITEPRESS. P-150 “Global Characterizations of Learning Styles among Students and Professionals,” (with K. Lau and S. Beckman), Paper I.D. 8345, Proceedings of the ASEE International Forum, Atlanta, GA, June 22, 2013. P-151 “A Comparison of Two Transdisciplinary Human-Centered Design Approaches for Poverty Alleviation,” (with J. Vechakul), Proceedings of The Future of Transdisciplinary Design (TFTD13), June 2013. P-152 “Information and Communication Technologies as a Bridge between Global Designers and Local Users,” (with Y. Perez, A. James, E. Carson, Jr.), Proceedings of The Future of Transdisciplinary Design (TFTD13), June 2013. P-153 “Human-Centric Study of Digital-Paper Transitions: Framing Design Opportunity Spaces”, (with E.Y. Kim, V.S. Kocsik, C.E. Basnage), In DS 75-7: Proceedings of the 19th International Conference on Engineering Design (ICED13), Design for Harmonies, Vol. 7: Human Behaviour in Design, Seoul, Korea, 19-22.08. 2013.August 2013. Won Reviewers’s Favourite Award. P-157 “SUPERball: Exploring Tensegrities for Planetary Probes”, (with A.P. Sabelhaus, K. Caluwaerts, J. Bruce and V. SunSpiral), Proceedings of the 12th International Symposium on Artificial Intelligence, Robotics, and Automation in Space (i-SAIRAS), June 2014. Citations. P-158 “Hardware Design and Testing of SUPERball, a Modular Tensegrity Robot“, (with A.P. Sabelhaus, J. Bruce, K. Caluwaerts, Y. Chen. D. Lu, Y. Liu, A.K. Agogino and V. SunSpiral), Proceedings of the WCSCM6 (6th World Conference on Structural Control and Monitoring), July 2014. P-159 “Identifying Design Opportunity Spaces in New User Interfaces for Exoskeleton Mobility Devices”, (with E.Y. Kim, J. Jeong, K. Mock, and V. Kocsik), Proceedings of DESIGN2014 (International Design), (eds., M. Borian, S. Mario, P. Neven, B. Nenad), May 2014, pp. 517-528. P-162 “Learning about Learning and Engineering: Engineers, Students and Educators Co-Design Challenges for a Science Museum“, (with J. Wang) Proceedings of ASEE Annual Conference, Paper ID #10509 June 2014. P-163 “Design for Development Online: An HCD Anlaysis of OpenIDEO”, (with P. Gordon and M. Fuge), Proceedings of the ASME International Mechanical Engineering Congress, Vol. 11: Systems, Design, and Complexity, 2014. Pre-publication version. P-165 “Co-Creation of Culinary Experience Design in the Chez Panisse Open Innovation Ecosystem,” (with S. Kim and H. Chesbrough), 1st Annual World Open Innovation Conference, Dec. 4-5, 2014. P-167 “Emergent Form-Finding for Center of Mass Control of Ball-Shaped Tensegrity Robots,” (with K. Kim and A.K. Agogino), ARMS (Autonomous Robots and Multirobot Systems) workshop, (affiliated with the 14th International Conference on Autonomous Agents and Multiagent Systems – AAMAS 2015). Istanbul, Turkey, May 4-5, 2015. P-170 “Design Practitioners’ Perspectives on Methods for Ideation and Prototyping,” (with S. Beckman, J. Kramer, C. Roschuni and M. Yang), Proceedings of the 2015 Mudd Design Workshop, Center for Design Education of Harvey Mudd College, May 2015. P-172 “Detection of Chiller Energy Efficiency Faults Using Expected Maximization,” (with R.L. Hu and J. Granderson), Proceedings of the International Design Engineering Conference IDETC/CIE 2015, Computers and Information in Engineering Conference (CIE), ASME. P-173 “Mechanism Design and Simulation of the ULTRA Spine: A Tensegrity Robot,” (with A.P. Sabelhaus, P. Hylton, Y. Madaan, C.W. Yang, J. Friesen and V. SunSpiral), Proceedings of the International Design Engineering Conference IDETC/CIE 2015, Mechanisms and Robotics Conference, ASME. Citations. P-174 “Design Talking: How Design Practitioners Talk About Design Research Methods,” (with C. Roschuni and J. Kramer), Proceedings of the International Design Engineering Conference IDETC/CIE 2015, International Conference on Design Education, ASME. P-175 “Robust Learning of Tensegrity Robot Control for Locomotion through Form-Finding,” (with K. Kim, A.K. Agogino, A. Toghyan, D. Moon, L. Taneja), Proceedings of the International Conference on Intelligent Robots and Systems (IROS 2015), IEEE, DOI: 10.1109/IROS.2015.7354204, pp. 5824 – 5831. Citations. P-176 “Design Roadmapping: A Framework and Case Study of Planning Development of High-Tech Products in Silicon Valley”, (with E. Kim, Jaewoo Chung, S. Beckman), Proceedings of the ASME 2016 International Design Engineering Technical Conferences and Computers and Information in Engineering Conference Design Theory and Methods, American Society of Mechanical Engineers, August 21-24, Charlotte, NC, USA (2016). Won DTM Best Paper Award. Also published in the Journal of Mechanical Design, J-73. P-177 “Characterizing Skills for Human-Centered Design,” (with J. Kramer and C. Roschuni), Proceedings of the ASME 2016 International Design Engineering Technical Conferences and Computers and Information in Engineering Conference Design Education, American Society of Mechanical Engineers, August 21-24, Charlotte, NC, USA (2016). P-178 “Soft Spherical Tensegrity Robot Design using Rod-centered Actuation and Control,” (with L.-H. Chen, K. Kim, E. Tang, K. Li, R. House, A.K. Agogino, V. Sunspiral, E. Jung), Proceedings of the ASME 2016 International Design Engineering Technical Conferences and Computers and Information in Engineering Conference 40th Mechanisms and Robotics Conference, American Society of Mechanical Engineers, August 21-24, Charlotte, NC, USA (2016). P-179 “DNA-Structured Linear Actuators,” (with K. Zampaglione, A.P. Sabelhaus, L.-H. Chen, A.K. Agogino), Proceedings of the ASME 2016 International Design Engineering Technical Conferences and Computers and Information in Engineering Conference 40th Mechanisms and Robotics Conference, American Society of Mechanical Engineers, August 21-24, Charlotte, NC, USA (2016). P-180 “Diagnosing Wind Turbine Faults Using Machine Learning Techniques Applied to Operational Data”, (with K. Leahy, R.Lily Hu, I. C. Konstantakopoulos, C. Spanos), Proceedings of the 2016 IEEE International Conference on Prognostics and Health Management, http://phmconf.org/. Ottawa, Canada, Carleton University, June 20-22, 2016. P-181 “Hopping and Rolling Locomotion with Spherical Tensegrity Robots,” (with K. Kim, L.H. Chen, B. Cera, M. Daly, E. Zhu, J. Despois, A.K. Agogino, V. SunSpiral), in Proceedings of 2016 IEEE/RSJ International Conference on Intelligent Robots and Systems (IROS2016), Daejeon, Korea, Oct 9-14, 2016. P-183 “Design and Systems Thinking in Development Engineering: A Case Study of Liver Infection in Khon Kaen, Thailand“, (with S. Samiphak, S.L. Syme, R. H. Lamoreaux), Proceedings of ICEER 2016. P-184 “Using Domain Knowledge Features for Wind Turbine Diagnostics,” (with R. Lily Hu, Kevin Leahy, Ioannis Konstantakopoulos, David Auslander, Costas Spanos), Proceedings to the 15th IEEE International Conference on Machine Learning and Applications, IEEE ICMLA 2016 (Anaheim, CA, Dec. 18-20, 2016). P-185 “What Green Design Activities and Mindsets Drive Innovation and Sustainability in Student Teams?”, (with J. Faludi, S. Beckman, A. Iles) Proceedings of the ICED17, International Conference in Engineering Design, Vol. 9: Design Education, Vancouver, Canada, 21.-25.08.2017, pp. 89-97. Download (pdf). P-186 “Using theDesignExchange as a Knowledge Platform for Human-Centered Design-Driven Global Development,” (with Kramer, J., D. Poreh), Proceedings of the ICED17, International Conference in Engineering Design,Vol. 1: Resource-Sensitive Design | Design Research Applications and Case Studies, Vancouver, Canada, 21.-25.08.2017, pp. 101-110. Download (pdf). P-187 “Building 21st Century Skills through Development Engineering”, (with Gordon, P., J. Kramer, R. Dzombak, S. Martin), Proceedings of the Mudd Design Workshop, 2017 titled “Design and the Future of the Engineer of 2020”. Pre-publication (pdf). P-188 “Teaching and Evaluating Design Competencies in the 21st Century”(with J. Kramer, Euiyoung Kim, Danielle Poreh), extended abstract in the Proceedings of the Mudd Design Workshop, 2017 titled “Design and the Future of the Engineer of 2020”. Download Abstract (pdf). Download Poster (pdf). P-189 “Scenario-based Conjoint Analysis: Defining User Experience Expectations on Unexplored Future Product Concepts (with E. Kim, H. Kim, J. Chen), Proceedings of the ASME International Design Engineering Technical Conference (IDETC) August 2017. Download DETC2017-67690 (pdf). P-190 “Modular Elastic Lattice Platform for Rapid Prototyping of Tensegrity Robots” (with L.-H. Chen, M.C. Daly, A.P. Sabelhaus, L.A. Janse van Vuuren, H.J. Garnier, M. I. Verdugo, E. Tang, C. U. Spanenberg, F. Ghahani, A.K. Agogino), to appear in the Proceedings of the ASME International Design Engineering Technical Conference (IDETC) 2017. Review version submitted Feb. 15, 2017. P-191 Deep Learning for Design in Concept Clustering” (with C. Zhang, Y.P. Kwon, J. Kramer, E. Kim, Proceedings of the ASME International Design Engineering Technical Conference (IDETC), August 2017. Updated version to be published in the ASME Transactions, Journal of Mechanical Design . Download DETC2017-68352 (pdf). P-192 “Inclined Surface Locomotion Strategies for Spherical Tensegrity Robots“, (with L.-H. Chen, B. Cera, E.L. Zhu, R. Edmunds, F. Rice, A. Bronars, E. Tang., S.R. Malekshahi, O. Romero, A.K. Agogino), Proceedings of the International Conference on Intelligent Robotics and Systems (IROS 2017), September 24-28, 2017. Download (pdf). Slides (pdf). P-193 “Design of a Spherical Tensegrity Robot for Dynamic Locomotion”, (Kyunam Kim, Deaho Moon, Jae Young Bin, A.M. Agogino), Proceedings of the International Conference on Intelligent Robotics and Systems (IROS 2017), September 24-28, 2017. Download (pdf). P-194 “Deep Reinforcement Learning for Tensegrity Locomotion with Limited Sensory Inputs” (with J. Luo, R. Edmunds, F. Rice), Proceedings of ICRA 2018 (Brisbane, AU, 21-25 May 2018). P-195 “Novice Designer’s Lack of Awareness to Cyber-Security and Data Vulnerability in New Concept Development of Mobile Sensing Devices,” (with E. Kim, D. Poreh), Proceedings of Design 2018, International Design Society, Croatia, May 21-24, 2018. P-196 “What Design Practices Do Professionals Use for Sustainability and Innovation,” (with J. Faludi). Proceedings of Design 2018, International Design Society, Croatia, May 21-24, 2018. P-197 “Characterization of Six-bar Spherical Tensegrity Lattice Topologies,” (with A. Zhang and B. Cera), Proceedings of the IASS Symposium 2018: Creativity in Structural Design, July 16-20, 2018, MIT, Boston. P-198 “Reimaginging Onboard Experiences for Autonomous Vehicles in Academic Makerspaces”, (with P. Cholsaipan, S. Hyoung, M. Kumaran, T. Liaw, K. Pham, J. Tabuada, E. Kim), Proceedings of the 2018 International Symposium on Academic Makerspaces (ISAM), Stanford University, August 3, 2018 – Sunday, August 5, 2018. P-199 “Applying Design Roadmapping in New Product Development Education: Insights from Student Design Teams,” (with E. Kim and S.L. Beckman), Proceedings of the International Design Engineering Technical Conferences and Computers and Information in Engineering Conference (IDETC2018), 26-29 August 2018, Quebec City, Quebec, Canada. P-200 “Using ‘Why and How’ to Tap into Novice Designers’ Method Selection Mindset,” (with D. Poreh, E. Kim, V. Vasudevan), Proceedings of the International Design Engineering Technical Conferences and Computers and Information in Engineering Conference (IDETC2018), 26-29 August 2018, Quebec City, Quebec, Canada. P-201 “Customization of a 3d printed prosthetic finger using parametric modeling”, (with D. Lim, T. Georgiou, A. Bhardwaj, G.D. O’Connell), Proceedings of the International Design Engineering Technical Conferences and Computers and Information in Engineering Conference (IDETC2018), 26-29 August 2018, Quebec City, Quebec, Canada. P-202 “Multi-Cable Rolling Locomotion with Spherical Tensegrities using Model Predictive Control and Deep Learning”, (with B. Cera), Proceedings of the 2018 IEEE/RSJ International Conference on Intelligent Robots and Systems (IROS), Submission number: 1534, Madrid, Spain, Oct. 1-5, 2018. P-203 “Deep Reinforcement Learning for Robotic Assembly of Mixed Deformable and Rigid Objects”, (with J. Luo, E. Solowjow, C. Wen, J. A. Ojea), Proceedings of the 2018 IEEE/RSJ International Conference on Intelligent Robots and Systems (IROS), Madrid, Spain, Oct. 1-5, 2018. P-204 “From Innocent Irene to Parental Patrick, Framing User Characteristics and Personas to Design for Cybersecurity”, (with Kim, Euiyoung; Yoon, JungKyoon; Kwon, Jieun; Liaw, Tiffany), to appear in Proceedings of ICED 2019. P-205 “Exploratory Study into Designing Enhanced Commute Experiences in Autonomous Vehicles with Connected Sensors and Actuators”, (with Sun, Zheng, Hugues Vigner, Shreyas Bhayana, Changhao Zheng, Ziwei Zhang, Euiyoung Kim), to appear in the Proceedings of the Human-Computer Interaction International (HCII), 2019. P-206 “Reinforcement Learning on Variable Impedance Controller for High-Precision Robotic Assembly,” (with Luo, J., E. Solowjow, C. Wen, J. A. Ojea, A. Tamar, P. Abbeel), to appear in the Proceedings of ICRA 2019 (IEEE International Conference on Robotics and Automation, May 20-24, 2019, Montreal, Canada). P-207 “Projection Mapping for Implementing Immersive User Scenarios in Autonomous Driving: Insights from Expert Interviews,” (with Kim, E., Tiffany Liaw, Kevin Pham, Proud Cholsaipan, Jae Tabuada, Jaewoo Chung), to appear as extended poster abstract in Proceedings of HCII 2019. P-208 “Towards Flexible Ridesharing Experiences: Human-Centered Design of Segmented Sharing Spaces,” (with A. Ong, J. Troncoso, A. Yeung, E. Kim), to appear as extended poster abstract in Proceedings of HCII 2019. P-209 “Embedding Cybersecurity into Design Education: Increasing Designers’ Awareness to Cybersecurity throughout the Design Process,” (with Kim, J. Kwon, J. Yoon), to appear in the Proceedings of the ASME International Design Engineering Technical Conference (DETC2019), August 2019. FC-1 “Fuzzy Optimization Using Monotonic Influence Diagram with Fuzzy Languages”, (with M. Arakawa), Proc. of 72th General Conference of the Japanese Society of Mechanical Engineers, , Vol. IV, p. 337-338, 1995. FC-2 “Introduction of Concept Database”, (with M. Arakawa), Proc. of 6th ASME-Japan Conference on Design Engineering & System Division, No. 96-45, p. 89- 92, 1996. Case-1. Chez Panisse: Building an Open Innovation Ecosystem, (with Henry Chesbrough and Sohyeong Kim), California Management Review, Vol. 56, No. 4, Summer 2014, pp. 144-171. Also see: Berkeley-Haas Case Series and also in the Harvard Business Review, 2014. Case-2. Sproutel: How Design Roadmapping Helped Improve Children’s Health and Guide a Growing Company, Berkeley Haas Case Series/ Harvard Case (with Sara Beckman and Euiyoung Kim)., April 1, 2018. R-0. “The Mexican Church at Catorce: Temple of Miracles,” (with George Agogino and Mercedes Agogino), Pursuit, Vol. 18, No. 4, 1985, pp. 181-183. R-1. “Research on Expert Systems in Flexible Manufacturing,” in Progress Report: The Microelectronics Innovation and Computer Research Opportunities (MICRO) Program, (MICRO Executive Committee, 7514 Boelter Hall, UCLA, Los Angeles, CA 90024, 1985-86)1987, pp. 1-7. R-2. “Object-Oriented Data Structures for Reasoning about Functionality, Manufacturability, and Diagnosability of Mechanical Systems,” (with R. Guha), prepared for presentation at the 1988 NSF Workshop on Features in Design and Manufacturing, University of California at Los Angeles, Feb. 26-28, 1988; based on an invited presentation at the 1987 ASME Design Automation Conference, Boston, MA, August 29, 1987. R-3. “Research on Expert Systems in Automated Manufacturing and Process Control,” in 1986-87 Progress Report: The Microelectronics Innovation and Computer Research Opportunities (MICRO) Program , (MICRO Executive Committee, 7514 Boelter Hall, UCLA, Los Angeles, CA 90024, 1986- 87), 1988, pp. 5-12. R-4. “Object-Oriented Data Structures for Designing by Features: Integrating Functionality and Geometry,” (with R. Guha), prepared for presentation at: Design Theory 88: 1988 NSF Grantee Workshop on Design Theory and Methodology, June 2-4, 1988. R-5. “AI/OR Hybrid Systems for Optimal Design,” (J. Cagan and P. Jain), Proceedings of the KOREA-U.S.A. Engineering Design Seminar (Oct. 13-19, 1988, Seoul National University, Korea), pp. 29-45. R-6. “Dynamic Mechanical System Design using Qualitative and Symbolic Reasoning,” (with Y.-J. Kim), Research Report to the Lawrence Livermore National Laboratory, Dec. 1988. R-7. “A Fault Location System for a Time of Flight Detector Array,” (with Hall, D, W. Greiman, D. Olson, R. Paasch, A. Padganokar, and E. Schroeder), LBL Report #27482, Computing in High Energy Physics, 1989. R-8. “Research in Intelligent Manufacturing Systems, Knowledge Acquisition and Representation, and Design Theory and Methods,” NSF Presidential Young Investigator Award, 1987/88 Progress Report, July 1988. R-9. “Research in Intelligent Manufacturing and Design Methods,” NSF Presidential Young Investigator Award, 1988/89 Progress Report, July 1989. R-10. “Research on Influence Architectures for Distributed Real Time Control,” (with K. Ramamurthi), in 1988/89 Progress Reports: The Microelectronics Innovation and Computer Research Opportunities (MICRO) Program , (ed., Prof. William S.C. Chang, Chairman, MICRO Executive Committee, Mail Code R-009, UC San Diego, La Jolla, CA 92093-0409), May 1990, pp. 5-8. R-11. “Research in Intelligent Manufacturing and Design Methods,” NSF Presidential Young Investigator Award, 1989/90 Progress Report, July 1991. R-12. “Hypermedia History for the Design of a Computer Workstation for the Disabled: Application of the DesignSCRIBE (Structured Capture and Retrieval Information Base for Engineering Design) System”, (with Bradley, S., B. Kuo and C. Johnson) HyperCard(TM) 2.0 stack. R-13. “Research on Integrating Neural Networks with Influence Diagrams,” (with M.-L. Tseng), Final report to the Institute for Scientific Computing Research, Lawrence Livermore National Laboratory, Nov. 1990. R-14. “Final Report to the Department of Education: Expert Systems Applied to Rehabilitation Engineering: A New Approach to the Evaluation of Control”, (with S. Hsi), 1990. R-15. “Systematic Curricular Reform”, Annual Report, Vol. III, May 15, 1991; Annual Report to NSF for Synthesis: A National Engineering Education Coalition. R-16. “Development of an On-Line Expert System: Cycle Chemistry and Demineralizer Operation Advisor,” (with D.M. , R.E. Henry, Y.-J. Kim, B. Frogner, M. A. Blanco, and S.M. Divakaruni) ISA/90 International Conference (Oct. 14-19, 1990, New Orleans, LA), Instrument Society of America. R-17. “Signal Validation for Expert System Development,” (with Y-J. Kim), in Proceedings of Expert System Applications for the Electric Power Industry (Sept. 9-11, 1991; Boston, MA), Electric Power Research Institute. R-18. Agogino, A.M., K. Naassan, and M.L. Tseng, “Intelligent Sensor Validation for Process Monitoring and Control,” MICRO Report 90-003, The Microelectronics Innovation and Computer Research Opportunities (MICRO) Program, (ed., Prof. William S.C. Chang, Chairman, MICRO Executive Committee, Mail Code R-009, UC San Diego, La Jolla, CA 92093- 0409), 1992. R-19. “Concurrent Design Concept Database,” (with S. R. Bradley), MICRO Report 90-004,The Microelectronics Innovation and Computer Research Opportunities (MICRO) Program , (ed., Prof. William S.C. Chang, Chairman, MICRO Executive Committee, Mail Code R-009, UC San Diego, La Jolla, CA 92093-0409), 1992. R-22. “The Synthesis Coalitions Experiments in Information Technology,” with A.P. Ingraffea), Proceedings of the Eighth National Conference on Computing in Civil Engineering and Geographic Information Systems Symposium, (Hyatt Regency Dallas Hotel, Dallas, Texas, June 7-9, 1992. R-23. “Final Report for Sensor Validation for HEATXPRT(TM) (Heat Rate Degradation Expert System Advisor,” (with Y.J. Kim, B. Wood, and P. Jain) June 1, 1992. R-24. “Review of HEATXPRT(TM) Knowledge Base Design Documentation”, Final Report, (with Y.J. Kim, B. Wood, and P. Jain) Feb. 25, 1993. R-25. “ National Engineering Education Delivery System (NEEDS)“, (with S. Sheppard, J. Harris, L. Genalo, K. Mink, J. Krishnagopalan, L. Genalo, D. Martin and J. Saylor), Proceedings of the Frontiers in Education `93 Conference, (Ed., Lawrence P. Grayson), IEEE and ASEE, 1993, pp. 592-600. R-26. “NEEDS: Expanding the Role of the Computer in Engineering Education,” (with A.R. Ingraffea and Sheri Sheppard), Computer Methods and Advances in Geomechanics, Proceedings of the Eight International Conference of the Association for Computer Methods and Advances in Geomechanics, (Siriwardane & Zaman (eds., Balkema, Rotterdam, ISBN 90 5410 380 9), 1994, pp. 189-195. R-28 “ Conceptual Design Database To Support Life Cycle Design Of Mechatronic Products: Integrating Design Tools From Industry,” (with W.H. Wood), Final Report 1993-94 for MICRO Project 93-003, 1995. R-29 “ Intelligent Sensor Validation For On-Line Process Monitoring, Diagnosis And Control“, (with S. Alag), Final Report 1993-94 for MICRO Project 93-004, 1995. R-30 “Engineering Education Reform in the 1990s,” Syllabus, Vol. 8, No. 6, 1995, pp. 38-40. R-31 “A Methodology for Intelligent Sensor Validation, Sensor Fusion, and Sensor Fault Detection for Dynamic Systems: Application to Power Plants – Part I & II,” (with S. Alag), Final Report to GE, 95-0301-1, 1995. R-32 “Intelligent Sensor Validation and Sensor Fusion for Reliability and Safety Enhancement in Vehicle Control”, (with S. Alag and K. Goebel), MOU132, Final Report, UCB-ITS-PRR-95-40, California PATH Research Report, 1995. (Download ps or pdf version of report. Citations. R-33 “Synthesis Coalition: Summary Progress Report, Year 5 (1994-1995),” submitted to the National Science Foundation, 1995. R-34 “Sharing Courseware Resources through the NEEDS (National Engineering Education Delivery System) Database,” (with B. Muramatsu, P.A. Eibeck, M. Ramirez, A. O. Oladipupo, and J. Huston), Proceedings of Frontiers in Education FIE95, ASEE/IEEE, pp. 3b5.1-3b5.3. Citations. R-35 “ Conceptual Design Database to Support Life Cycle Design of Mechatronic Products: Integrating Design Tools From Industry,” (with W. H. Wood, A. Varma, and B. Chidambaram), Final Report to Micro 1994/95, 1996. Also see “Web-Based Tools for Engineering Design”, (with A. Varma, A. Dong, B. Chidambaram and W. H. Wood), in Workshop on Agents and Web-based Design at the Fourth International Conference on Artificial Intelligence in Design, Stanford University, 1996. Citations. R-37 “A Comprehensive Strategy for Longitudinal Vehicle Control with Fuzzy Supervisory Expert System,” (with Pushkin Kachroo, Masayoshi Tomizuka), 1995 IEEE International Conference on Systems, Man and Cybernetics. Citations. R-38 “Redesign in a Manufacturing Environment,” (with B. Chidambaram), Proceedings of the Conference on Agile and Intelligent Manufacturing Systems, RPI (CD ROM and WWW versions: http://www.eamri.rpi.edu), 1996. R-39 “Learning Synthesis Knowledge for Rapid Product Design,” (with A. Varma), Proceedings of the Conference on Agile and Intelligent Manufacturing Systems, Electronics Agile Manufacturing Research Institute, RPI (CD ROM and WWW versions: http://www.eamri.rpi.edu), 1996. R-40 “Synthesis Coalition: Annual Report, Year 1 (1996-1997),” submitted to the National Science Foundation, Oct. 1, 1996. R-41 “ The Concept Database: A Design Information System for Concurrent Engineering with Application to Mechatronics Design,” (with J. Enrique Barreto, Bala Chidambaram, Andy Dong, Anil Varma and William H Wood III, Ph.D.), Proceedings of 6th Conference on Design Engineering & System Division,, No. 96-45, p. 89-92, 1997. R-42 “Intelligent Sensor Validation and Fusion for Vehicle Guidance Using Probabilistic and Fuzzy Methods,” (with Kai Goebel and Satnam Alag), Final Report for PATH MOU 157, PATH Report #D97-29, 1997. R-43 “Synthesis Coalition: Annual Report, Year 2 (1997-1998),” submitted to the National Science Foundation, Oct. 1, 1997. R-44 “Intelligent Diagnosis Based on Validated and Fused Data for Reliability and Safety Enhancement of Automated Vehicles in an IVHS,” (with Susan Chao, Kai Goebel, Satnam Alag, Bradley Cammon and Jiangxin Wang,) Final Report for PATH MOU 231, PATH Report #UCB-ITS-PRR-98-17. Citations. R-45 “Using the Internet to Learn Engineering Design with Simple Machines: Results of a Pilot Study with Middle School Students,” (with A. McKenna), presented at AERA 98 (San Diego). R-46 “The Concept Database: A Design Information System for Concurrent Engineering with Application to Mechatronics Design,” Final Report to NSF Grant No. DDM-9300025, 1998. R-47 “Final Project Report for Interactive MESA: A K-12 Interactive University Project,” July 1998. URL: http://best.me. berkeley.edu/~aagogino/IU/IU.final.report.html. R-52 “Innovative Uses of Engineering Courseware Available through NEEDS-The National Engineering Education Delivery System”. (with Flora McMartin and Brandon Muramatsu). Proceedings of FIE99, (Frontiers in Education Conference; San Juan, Puerto Rico; 10-14 November 1999), ASEE/IEEE, CD ROM ISBN #0-7803-5646-2, pp. 12a2-13. (extended abstract only). R-53 “Warranty and Maintenance Decision Making for Gas Turbines,” (with Susan Y. Chao and Zu-Hsu Lee), Proceedings of AI in Equipment Maintenance, Service & Support, (AAAI Spring Symposium, March 22-24, 1999; Stanford, CA). Citations. R-55 “What Students Say About Learning Physics, Math and Engineering,” (with Ann McKenna and Flora McMartin), Proceedings of the 30th ASEE/IEEE Frontiers in Education Conference, Oct. 18-21, 2000, pp. T1F-9. ISBN # 0-7803-6424-4/00. Citations. R-56 “Towards a Digital Learning Community for Engineering Education,” (with Brandon Muramatsu Flora McMartin), Proceedings of the 30th ASEE/IEEE Frontiers in Education Conference, Oct. 18-21, 2000, pp. F3D-13. ISBN # 0-7803-6424-4/00. R-57 “Aggregation of Direct and Indirect Positioning Sensors for Vehicle Guidance,” (with S. Chao, J. Wang and X. Deng), PATH Final Report, MOU 322, UCB-ITS-PRR-2000-24, Dec. 2000. R-58 “How Can Information Technology (IT) Enhance Undergraduate Science, Mathematics, Engineering & Technology (SME&T) Education?”, PKAL 2001 Change Agents Roundtable, jointly sponsored by Sigma Xi, The Scientific Research Society, March 2 – 4, 2001, Exxon/Mobil Corporate Headquarters, Irving, Texas. R-59 “Using Interactive Theater to Enhance Classroom Climate,” (with Edith Ng and Carla Trujillo), Proceedings of WEPAN/NAMEPA 01 (April 21 – 24, 2001, Alexandria, Virginia). R-60 “Creating Online Faculty Collaboration to Develop Engineering Education Computer Learning Materials,” (with Andrew Hill and Flora McMartin), Proceedings of FIE 01, 2001, CD ROM 0-7803-6669-7, IEEE/ASEE, p. F3F-10. .
R-61 “Descrip tions of Engineering Education: Faculty, Student and Engineering Practitioner Perspectives,” (with Sheri Sheppard and M. Kathleen Silva), FIE 2001 Workshop, Reno, Nevada. R-62 “The Development of a National Science, Mathematics, Engineering and Technology Education Digital Library,”(with Andy Dong, Flora McMartin and Brandon Muramatsu) Global Digital Library Development in the New Millennium: Fertile Ground for Distributed Cross-Disciplinary Collaboration, (Ching-chih Chen, Ed., Beijing, China: Tsinghua University Press), 2001, pp. 1-12. R-63 “Interactive Theater Program, Final Report for Grant # EIF98.5 of the Engineering Information Foundation”, (with Carla Trujillo), November 5, 2001. R-64 Final Report NSF Grant IIS-9980116, “Developing a Prototype National Digital Library for Science, Mathematics, Engineering and Technology Education,” Oct. 22, 2002. R-65 “Gender Bias in Faculty Hiring, Retention and Promotion”, Feb. 18, 2002. Symposium Session, Co-Chaired with S. Malcom (Director, Directorate for Education and Human Resources, American Association for the Advancement of Science) Co-Chairs AAAS 2002 Symposium, AAAS 2002 Proceedings. R-66 “Bringing the Educational Experience of NEEDS and SMETE.ORG to NSDL”, AAAS Annual Meeting: Science as a Way of Life, (13-18, Feb. 2003, Denver, CO), CD ROM. R-67 Heroes, Gender and Ethics, AAAS Annual Meeting: Science as a Way of Life, (13-18, Feb. 2003, Denver, CO), CD ROM. R-68 A Web Services Approach to Federated Search Across Digital Libraries, (with Dong, A., E. Fixler, M.J. Koning-Bastiaan, and S. Shamseldin). Working Paper # 03-0103-3. Berkeley Expert Systems Technology Laboratory, 6102 Etcheverry Hall, UC Berkeley, Berkeley, CA 94720-1740. R-69 Wu, J., E. Fixler, and A.M. Agogino, Translating Between Native Java Objects and LOM: A Tools to Assist Digital Libraries Exchange Information. Working Paper # 03-0203-3. Berkeley Expert Systems Technology Laboratory, 6102 Etcheverry Hall, UC Berkeley, Berkeley, CA 94720-1740. R-70 MEMS Smart Dust Motes for Designing, Monitoring and Enabling Efficient Lighting. Final report to UC Project MICRO (2002-03), 2004. R-71 Expanding the National Engineering Education Delivery System as the Foundation for an On-Line Engineering Education Community. Final Report for NSF Grant # EEC-9872570 (1998-2003), 2004. R-72 “Characterizing and Enhancing Team Performance in Cross-Functional Student Design Teams”, (with S. Beckman, J. Creech, S. Song, and L. Speer), extended abstract to the NCIIA 2004, National Collegiate Inventors and Innovators Alliance Conference. R-73 “Enhancing Interoperability of Collections and Services,” Final Report, NSF Award DUE-0127580, December 2004. R-74 “Developing a Learner-Centered Metathesaurus for Science, Mathematics, Engineering and Technology Education,” Final Report, NSF Award DUE-0121743, December 2004. R-75 ” Year 2 Annual Report for NSF Grant NSF Grant # CCR-DES/CC-0306557, “MEMS/NEMS Design Automation and Synthesis,” (with C. Sequin), March 2005. R-76 “Interim Report for NCIIA (National Collegiate Inventors and Innovators) grant, “Invention and Innovation in New Product Development: Freshman/Sophomore, Junior/Senior, Graduate Course Sequence (with S. Beckman), Nov. 2005. R-77 “Intelligent Commercial Lighting: Demand-Responsive Conditioning and Increased User Satisfaction”, University of California Energy Institute. Development & Technology. Paper EDT-007, September 26, 2005. R-78 “Optimized Design of MEMS by Evolutionary Multi-objective Optimization with Interactive Evolutionary Computation, (with. R. Kamalian and T. Takagi) GECCO 2006. Late breaking research session. R-80 “Year 3 Annual Report for NSF Grant NSF Grant # CCR-DES/CC-0306557, “MEMS/NEMS Design Automation and Synthesis,” (with C. Sequin), March 2006. R-81 “Year 1 Annual Report for NSF Grant NSF Grant # DUE-0532922, “A Comprehensive Pathway for K-Gray Engineering Education”, June 2006. R-82 “Final Report: Cost-Effective Shuttle Tracking Services,” (with Berkeley Innovation student E-Team), National Collegiate Inventors and Innovators Alliance. R-84 “Efficient Lighting by Sensing and Actuating with MEMS ‘Smart Dust Motes’: A Feasibility Study”, (with J. Granderson and Y.J. Wen), Final Report, Energy Innovations Small Grant (EISG) Program, Grant #03-20, 2006. R-85 Year 2 Annual Report for NSF Grant # DUE-0532922, “A Comprehensive Pathway for K-Gray Engineering Education”, June 2007. R-86 Year 2 Summary Updates and Accomplishments, Pathway PIs/ Core Integration Meeting, August 1-2, 2007. R-87 Annual Report Nuggets for the Practices, Aggregation, Infrastructure, and Retrieval Service (PAIRS), Demonstration Project, NSF Grant # CNS 0634338, April 2008. R-88 “A Comprehensive Pathway for K-Gray Engineering Education”, Year 3 Annual Report for NSF Grant # DUE-0532922, July 2008. R-89 Poster Session, NSDL Grantees Meeting, Engineering Pathways 2008 Highlights, (with J. Tront) September 30 – October 2, 2008. Download flyer. R-90 Agogino, A.M.and J. Sullivan, Year 3 Summary Updates and Accomplishments, Pathway PIs/ Core Integration Meeting, 2008. R-91 “A Human Centered Approach to Co-design Culturally-Sensitive and Sustainable Housing with the Pinoleville Pomo Nation”, (with R. Ryan), Abstract and Presentation, American Indian Science and Engineering Society National Conference. R-92 CARES: Community Assessment of Renewable Energy and Sustainability, Interim Report, (with Berkeley Innovation student E-Team), National Collegiate Inventors and Innovators Alliance (NCIIA), April 2008. R-93 Year 4 Annual Report for NSF Grant # DUE-0532922, “A Comprehensive Pathway for K-Gray Engineering Education”, (with Co-PIs), June 2009. R-94 “Teaching and Designing Technology for Diversity”, final report for the National Science Foundation Director’s Award for Distinguished Teaching Scholars, NSF DTS Grant: DUE-0428935. R-95 “Design strategies and preliminary prototype for a low-cost arsenic removal system for rural Bangladesh”, (with J.L. Mathieu, A.J. Gadgil, S. Qazi and K. Kowolik), Lawrence Berkeley National Laboratory as LBNL-2696E, September 14, 2009. Updated version of P-128. R-96 Annual Report, “Expanding the Accessibility of NSDL for Mobile Learning,” (with K. Ryokai), NSF, September 2009. R-97 Annual Report, NSF, “Collaborative Proposal: BPC-DP: Practices Aggregation, Infrastructure, and Retrieval Service for Broadening Participation in Computing (PAIRS)” (with Co-PIs), March 2010. R-98 Year 5 Annual Report for NSF Grant # DUE-0532922, “A Comprehensive Pathway for K-Gray Engineering Education”, (with Co-PIs), June 2010. R-99 Annual Report, “Pilot: Meta4acle – A Software Tool for Generating Metaphors, Stimulating Creativity and Framing Solutions,” NSF, July 2010. Research.gov final report. R-100 Annual Report, “Expanding the Accessibility of NSDL for Mobile Learning,” (with K. Ryokai), NSF, September 2010. R-101 Annual Report, “Collaborative Research: Sustaining the Pathway for K-Gray Engineering Education,” (with Co-PIs), September 2010. R-102 Final Report, NSF, “Collaborative Proposal: BPC-DP: Practices Aggregation, Infrastructure, and Retrieval Service for Broadening Participation in Computing (PAIRS)” (with Co-PIs), March 2011. R-103 Annual Report, “Pilot: Meta4acle – A Software Tool for Generating Metaphors, Stimulating Creativity and Framing Solutions,” NSF, July 2011. Research.gov final report. R-104 Final Report for NSF Grant # DUE-0532922, “A Comprehensive Pathway for K-Gray Engineering Education”, (with Co-PIs), September 2011. R-105 Annual Report, “Expanding the Accessibility of NSDL for Mobile Learning,” (with K. Ryokai), NSF, September 2011. R-106 Annual Report, “Collaborative Research: Sustaining the Pathway for K-Gray Engineering Education,” (with Co-PIs), September 2011. R-107 Final Report, “Invention and Innovation in New Product Development: Freshman/Sophomore, Junior/Senior, Graduate Course Sequence,” (with Co-PI Sara Beckman), NCIIA grant, November 2011. R-108 Final Report, Center and Green IT for Native CARES (Native American Community Assessment for Renewable Energy and Sustainability), CITRIS Seed Grant, March 2012. R-109 Annual Report, “Pilot: Meta4acle – A Software Tool for Generating Metaphors, Stimulating Creativity and Framing Solutions,” NSF, July 2012. Research.gov final report. R-110 Final Report, “Expanding the Accessibility of NSDL for Mobile Learning,” (with K. Ryokai), NSF, September 2012. R-111 Final Report, “Collaborative Research: Sustaining the Pathway for K-Gray Engineering Education,” (with Co-PIs), September 2012. R-112 Annual Report, “EAGER: TheDesignExchange: Characterizing, Mapping and Interacting with Industry on User-Focused Design Methods,” NSF, June 2013. R-113 Final Report, “CNIC: U.S.-Danish Planning Visit for Research on Smart Products and People on the Smart Grid,” NSF, June 2013. Research.gov final report. R-114 Final Report, (co-authored with student team) “inSense: User-centric Model Predictive Lighting Commissioning System”, Max Tech and Beyond Design Competition for Ultra-Low-Energy-Use Appliances and Equipment (AY 2012-2013), June 2013. Smart People, Products and Buildings on the Smart Grid. R-115 Final Report (co-authored with student team), “Human-Centric User Research to Identify Disruptive Opportunities in Convergent Paper and Digital Use”, July 2013. R-116 & 117 Chez Panisse: Building an Open Innovation Ecosystem, (with Henry Chesbrough and Sohyeong Kim), Berkeley-Haas Case Series and also in the Harvard Business Review, 2014. (Also listed under Case Studies). R-118 Final Report, “EAGER: TheDesignExchange: Characterizing, Mapping and Interacting with Industry on User-Focused Design Methods,” NSF, June 2014. Research.gov final report. R-119 “Model Predictive Smart Lighting Commissioning System for Emerging Demand Management”, EISG Final Report, California Energy Commission, August 2014. Final Report (pdf). R-120 Annual Report, “TheDesignExchange, an Interactive Portal for the Design Community of Practice”, (with S. Beckman and M. Yang), NSF, August 2014. R-121 “Impact-Testing the Integrity of 6-Strut Tensegrities,” (with K. Fountain and L.-H. Chen). Poster presented at the 2015 E3S Summer REU (Research Experiences for Undergraduates) Poster Session, Berkeley, CA, Aug. 6, 2015. R-122 Annual Report, “TheDesignExchange, an Interactive Portal for the Design Community of Practice”, (with S. Beckman and M. Yang), NSF, June 2015. R-123 Annual Report, “Precision Hopping/Rolling Robotic Surface Probe Based on Tensegrity Structures,” (with A.K. Agogino), NASA, Oct. 2015. R-124 Annual Report, “TheDesignExchange, an Interactive Portal for the Design Community of Practice”, (with S. Beckman and M. Yang), NSF, July 2016. R-125 Final Report (co-authored with student team), “Human-Centered Research to Explore Disruptive Opportunities with Flexible/Stretchable Wearables in the Internet of Things”, August 2016. R-126 Annual Report, “Precision Hopping/Rolling Robotic Surface Probe Based on Tensegrity Structures,” (with A.K. Agogino), NASA, Dec. 2016. W-1 “The 1991 Human Powered Vehicle: A Multimedia Case Study in Engineering Design,” (with S. Hsi), Multimedia Multidisciplinary Case Studies CD ROM, HyperCard format, Synthesis Coalition 1993 (v. 1.0). W-2 “The IBM Proprinter: A Multimedia Case Study in Engineering Design,” (with J. Evans), Multimedia Multidisciplinary Case Studies CD ROM, Synthesis Coalition, 1993 (v. 1.0), 1995 (v. 2: http version). W-3 “Blockstacking,” (with S. Hsi and M. C. Linn), Multimedia Multidisciplinary Case Studies CD ROM, (http://www.needs.org on the NEEDS Database), Synthesis Coalition, 1993 (v. 1.3). W-4 “Mattel Color Spin: A Multimedia Case Study in Engineering Design,” (with A. Varma), Multimedia Multidisciplinary Case Studies CD ROM, Synthesis Coalition, 1993 (v. 0.75), 1995 (v. 1.0: http version). W-5 “Saturn Automobile: A Multimedia Case Study in Engineering Design,” (with I. Zook), Multimedia Multidisciplinary Case Studies CD ROM, Synthesis Coalition, 1993 (v. 0.75), 1995 (v. 1.0: http version). W-6 “Cyclone Grinder: A Multimedia Case Study in Engineering Design,” (with C. Carlstrom), Multimedia Multidisciplinary Case Studies CD ROM, Synthesis Coalition, 1993 (v. 0.75), 1995 (v. 1.0: http version). W-7 “Disk Drive Case Study,” (with S. Nagaraj), HyperCard format, Synthesis Coalition, 1995 (v. 0.5). W-8 “Motor Tutorial,” (with Z. Huang), Synthesis Coalition, ( NEEDS Database), 1995 (v. 1.0). W-9 “Display Object,” (with J. R. Osborn), Synthesis Coalition, 1996 (v. 1.43). W-10 “Virtual Disk Drive Design Studio,” (with D. Yu), CD ROM, Synthesis Coalition, 3112 Etcheverry Hall, UC Berkeley (Sampler and html version available on the NEEDS/Engineering Pathway Digital Library, 1997 v. 1.0b5. Winner of a 1997 Premier Courseware Award for instructional software, 1997. W-11 “People, Product and Strategies,” (with Robert Stanard), Case Study, v. 3, 1998. W-12 “Matlab Extensions to the Virtual Disk Drive Design Studio,” (with Rebecca Richkus and David Tang), 1999. W-13 NEEDS – National Engineering Education Digital-library System. A digital library formed with links to online learning materials in engineering and related areas of science and math. NEEDS was developed by the Synthesis Engineering Education Coalition in the early 1990s prior to the WWW, using X-windows. We later merged with Teach Engineering to form the Engineering Pathway digital library. Based on its NEEDS foundation, the Engineering Pathway is the oldest educational digital Library in existence today. W-14 SMETE.org. A digital library of resources in STEM (Science, Technology, Engineering and Mathematics) Education. Migrated to inform the National STEM Education Digital Library (NSDL) and was part of the merger that formed the Engineering Pathway digital library. W-15 EngineeringPathway.com integrates the NEEDS.org digital library, with resources primarily for higher education, with the TeachEngineering K-12 digital library to develop the Engineering Pathway, a portal to the most comprehensive collection of resources for all types of K-Gray engineering education. The digital library also hosts engineering education community pages. W-16 K-12EngineeringEducation.com. Engineering Education “Today in History” Blog. T-1 “Integrating Design and Manufacturing Education within Broader Societal Goals,” Testimony to the House of Representatives, Committee on Science, Space, and Technology, May 12, 1992. (Published in the Congressional Record). T-2 “Improving Retention through Curricular Reform, Proceedings of the Engineering Education: Curriculum Innovation and Integration, (eds., E. Aung and S. Carmi, Jan. 5-10, 1992, Santa Barbara, CA), Engineering Foundation, pp. 27-32. T-3. “The Synthesis Coalition: Information Technologies Enabling a Paradigm Shift in Engineering Education,” (with W.H. Wood), Keynote talk, Proceedings of Hyper-Media in Vaasa94, pp. 3-10. T-4 “The National Engineering Delivery System (NEEDS): A Multimedia Digital Library of Courseware,” (with B. Muramatsu), Proceedings of the 1996 ASEE International Conference on Engineering Education and Practice, ASEE CD-ROM, 1996. T-5 “Information in the Design Process,” invited talk to and published in the Proceedings of the Frontiers of Engineering: Reports on Leading Edge Engineering Research, National Academy of Engineering, Sept 19-21. 1996. T-6 “Concepts for the SMETE (Science, Mathematics, Engineering, Technology Education) Library,” Report of the NSF Science, Mathematics, Engineering, and Technology Education Library Workshop (July 21-23, 1998), NSF 99-112, pp. 32-33. T-7 “Invited Panel – Engineering and Computer Science Education in the Era of Globalization”, (with Ted E. Batchman, Frank Bullen, Leah H. Jamieson, Wayne C. Johnson and Arthur B. Western), Extended Abstract in Proceedings of the Frontiers in Education Conference 2005, ASEE/IEEE, Session F2B (October 19-22, 2-5, Indianapolis, IN). T-8 “Finding One’s Way”, Keynote talk at Mudd Design Workshp, May 2011. Published in the International Journal of Engineering Education, Special Issue on Design Education: Innovation and Entrepreneurship, Vol. 28, No. 2, 2012, pp. 249-250. U-1. “1stPRINCE: Innovative Design from First Principles,” (with J. Cagan) presented at AAAI88 AI in Design Workshop. U-2. “Deterministic Monotonic Influence Diagram,” (with N. Michelena), presented at the 1989 TIMS/ORSA meeting, NY. U-3 “Comments on The Competitive Edge: Research Priorities for U.S. Manufacturing and Improving Engineering Design: Designing for the Competitive Advantage,” Manufacturing Studies Board, National Research Council, National Academy of Sciences Building, Washington, D.C., July 16, 1991. U-4 “Women, Engineering and Project Synthesis,” Committee on the Role and Status of Women in EDUCOM, San Diego, California, Oct. 17, 1991. U-5 “The National Science Foundation Engineering Education Coalitions,” ASEE Pacific Southwest Section Annual Meeting and Conference, UC Berkeley, Oct. 24, 1991. U-6 “Synthesis: An NSF Coalition to Improve Undergraduate Engineering Education and Develop a National Engineering Education Delivery System,” MacSciTech Scientific and Engineering Applications of the Macintosh Technical Conference & Exposition, Sir Francis Drake Hotel, San Francisco, California, Jan. 15-17, 1992. U-7 “Synthesis Coalition,” (with A.P. Ingraffea and T. Henderson), National Science Board, Education Committee, NSF Headquarters, March 19, 1992. U-8 “Integrating the Undergraduate Engineering Curriculum,” ASME International Conference, Honolulu, Hawaii, April 5-8, 1992. U-9 “The Impact of Demographic Change on Students Engineering and Graduating From Engineering Programs,” 44th California Symposium on Transportation Issues, Oakland Airport Hilton, May 14, 1992. U-10 “Integrating Science and Technology Education and Research,” Statement before the Presidents Council of Advisors on Science and Technology (PCAST), University of California at Berkeley, July 15, 1992. U-11 “Multimedia Case Studies Project of the Synthesis Coalition,” Computing: The Transformation of Engineering Exhibits, National Academy of Engineering Annual Meeting, National Academy of Sciences Building, Washington, D.C., Sept. 29-30, 1992. U-12 Agogino, A.M. and J. Evans, “Multimedia Case Studies of Design in Industry,” presented at ASME Design Theory and Methodology `93 Conference, Albuquerque, New Mexico, 1992. Citations citations. U-13 “A Networked Multimedia Courseware Database for Engineering Education,” Keynote talk at TBEEC `93 (Technology Based Engineering Education Conference), Santa Fe, New Mexico, Nov. 19-20, 1993. U-14 “The Role of Multimedia in Design Education and Research,” Overview for 94 DTM, American Society of Mechanical Engineers, Minneapolis, MN, Sept. 11-14, 1994. U-15 “Engineering Education for 2020 and Beyond,” Workshop on Systematic Engineering Education Reform: An Action Agenda, Sponsored by the National Science Foundation, Arlington Renaissance Hotel, Arlington, Virginia, July 11, 1995. U-16 “National Engineering Education Delivery System (NEEDS),” Workshop on Re-Engineering Education, Rensselaer Polytechnic Institute, Troy, NY, Aug. 22, 1995. U-17 “NEEDS – The National Engineering Education Delivery System, 1995 NTU Engineering Faculty Forum, Satellite Broadcast, October 10, 1995, 1-2 p.m. PDT (video tape available). U-18 “Multimedia Case Studies to Teach Engineering Design/ Digital Library of Engineering Courseware,” Presentation to UC Regents, Oct. 19, 1995. U-19 “Information Technologies Enable a Paradigm Shift in Engineering Education,” International Symposium on Engineering Education and Evaluation, Osaka, Japan, Nov. 27, 1995. U-20 “Reforming Undergraduate Engineering,” plenary lecture at the UC Science, Engineering and Mathematics Education Conference, Arnold and Mabel Beckman Center of the National Academies of Science and Engineering, Jan. 26- 27, 1996. U-21 “Multimedia and Internet: Enabling New Modes of Learning,” Chancellors Forum, Feb. 2 1996. U-22 “Engineering Education: Can we Make Changes,” (with Joseph Bordogna, Assistant Director of Engineering, NSF; John H. McMasters, Senior Principal Engineer, Boeing Commercial Airplane Group; Winfred M. Phillips, Dean, College of Engineering, University of Florida and President of Accreditation Board for Engineering and Technology), The Annual Convocation of Professional Engineering Societies and the National Academy of Engineering, National Academy Building, Washington D.C., May 21, 1996. U-23 “Synthesis Coalition Initiatives in Mechanical Engineering at U.C. Berkeley,” Workshop on Mechanical Engineering Undergraduate Education for the Next Twenty Years, Royal Sonesta Hotel, Cambridge, Massachusetts, Oct. 8, 1996. U-24 “Instructional Technology and the Use of the WWW for Improving K- 12/Undergraduate Education,” UC President Atkinsons visit to UC Berkeley campus, Nov. 21, 1996. U-25 “Research on Distributed Intelligence: Sensor Fusion and Design Information Environments,” NSF Director Neal Lanes visit to the UC Berkeley campus, Dec. 5, 1996. U-26 “Integration of Research and Education,” (with Angelica Stacy, Prof. of Chemistry), NSF Director Neal Lanes visit to the UC Berkeley campus, Dec. 5, 1996. U-27 “Multimedia and Internet Enabling New Modes of Learning in K- 14,” Colloquium on Using the Internet for Instruction and Outreach, January 14, 1997. U-28 “A Multimedia Digital Library of Courseware, 1997 Berkeley Multimedia Research Center,” Retreat on New Media Teaching and Learning Techniques, Berkeley, California, January 15-16, 1997. U-29 “Issues in Engineering Education,” National Academy of Engineering, Commission on Engineering and Technical Systems, Arnold and Mabel Beckman Center, Irvine, California, Feb. 11, 1997. U-30 “Research on Distributed Intelligent Systems: Information Value Theory Applied to Mechatronic Design,” Industrial Liaison Program, College of Engineering, UC Berkeley, March 12, 1997. U-31 “Synthesis Coalition: Multimedia and the Internet Enabling New Modes of Learning,” (with Brandon Muramatsu, NEEDS Project Manager),1997 All University Conference on Teaching and Learning, Los Angeles, California, March 24-25, 1997. U-33 “Music and Mechanics: Instructional Technology on Display,” UC Alumni Legislative Conference, Sacramento, California, April 15, 1997. U-34 “Internet and Multimedia Enabling New Modes of Learning and Outreach to K-12,” Keynote Speaker at the UC Technology & Outreach Conference, UC Irvine, May 21, 1997. U-35 “Instructional Technology and Distance Learning at Cal,” presentation at Cal Parents Weekend, Sept. 27, 1997. U-36 “The Synthesis Coalitions Assessment Strategy”, NACME Forum 97: Crisis and Commitment – Engineering Strikes Back, Seattle, WA., Oct. 3, 1997. U-37 “The Future of Instructional Technology at Berkeley: CCCPB-IT Committees Goals”, Berkeley Multimedia Research Center Retreat, Jan. 12-13, 1998. U-38 “The Synthesis Coalitions Curricular Innovations for the Freshman Year,” (with Edgar Blevins), NSF Engineering Coalitions Conference, Feb. 27-28, 1998, Orlando, FL. U-39 “Intelligent Computer-Aided Mechatronic/MEMS Design,” talk at UC Berkeley ILP 98, March 11, 1998. U-40 Discussant, Center for Innovative Learning Technologies Panel, AERA (American Educational Research Association), April 13, 1998. U-41 “Engineering Education Goes Multimedia”, (with B. Muramatsu), talk at Cal Day 98 (April 18, 1998). URL: http://www.needs.org/engineering/info/presentations/calday98/calday98.html. U-42 “Interactive MESA”, Interactive MESA Seminar, April 23, 1998. U-43 “Post-Proposition 209: Admissions, Outreach and Student Services for Underrepresented Engineering Students”, Engineering Advisory Board meeting, May 19, 1998. Also presented at the Berkeley Engineering Fund, Board of Directors, June 3, 1998. U-44 “The Concept Database: A Web-based Design Information System for Mechatronics and MEMS Design,” Harbin Institute of Technology, China, June 10, 1998. U-45 “Multimedia Case Studies of Engineering Design: Synthesis Engineering Education Innovations,” Harbin Institute of Technology, China, June 11, 1998. U-46 “Diversity in Engineering Education”, talk for the NSF New Century Scholars Workshop at Stanford University, Aug. 6, 1998. U-49 “Overview of Instructional Technology on Campus” and “Use of Instructional Technology in the School of Engineering,” Undergraduate Affairs Leadership Meeting, March 15, 1999. U-50 “Balancing Work and Family”, panel speaker at the NSF New Century Scholars Workshop at Stanford University, Aug. 5, 1999. U-51 “Visions for a Digital Library for Science, Mathematics, Engineering and Technology Education (SMETE), Fourth ACM Conference on Digital Libraries, Berkeley, CA, Aug. 11-14, 1999. Citations citations. U-52 “A National Digital Library for Science, Mathematics, Engineering, and Technology Education,” Educause 99, Teaching and Learning Poster Session, Oct. 27, 1999. U-53 “Using the National Engineering Education Delivery System as the Foundation for Building a Test-Bed Digital Library for Science, Mathematics, Engineering and Technology Education,” (with Flora McMartin), NSF Digital Library Initiative 2 Meeting, Cornell University, Oct. 17-18, 1999. U-54 “Teaching, Learning and Libraries on Internet Time,” Society of Women Engineers – Evening with Industry, Nov. 19, 1999, Berkeley, CA. U-55 “Teaching, Learning and Using Libraries on Internet Time,” Coalition for Networked for Information, Phoenix, Arizona, Dec. 14, 1999. U-56 “A Prototype National Digital Library for Science, Mathematics, Engineering and Technology Education”, TechEd 2000, Las Vegas, Nevada, March 7, 2000. U-57 “Information Technology and the Digital Divide” at the Berkeley Pledge Spring Roundtable for Academic Support and Enrichment Services, “Student Services and New Technology: Time to Get Real!” May 4, 2000. U-58 “Developing a Prototype National Digital Library for Science, Mathematics, Engineering and Technology Education,” NSF DLI All-Projects Meeting, June 12-13, 2000. U-59 “A National Digital Library for Science, Mathematics, Engineering and Technology Education,” International Conference at Stratford-upon-Avon, England, Coalition for Networked Information. U-60 “Women in Engineering – 21st Century”, International Forum on Women in Engineering and Science, World Engineers Convention, 19-21 June 2000, Hannover, Germany. (Invitation by German government and AAAS). U-61 “A National Digital Library for Science, Mathematics, Engineering and Technology Education,” Gordon Conference on Innovations in College Chemistry Teaching (Clarion Ventura Beach Hotel, Jan. 6-11, 2001). U-62 “Demystifying Copyright and Fair Use for Teaching,” (with Brian Donohue and Gary Handman), UC Berkeley, March 13, 2001. U-63 “Women in Academia,” Womens Faculty Club, UC Berkeley, March 22, 2001. U-64 “Demonstrating the Core Integration System for the National SMET Education Digital Library”, (with Andy Dong), Information Access Seminar, School of Information Management & Systems, UC Berkeley, March 23, 2001. U-65 “Demonstrating the Core Integration System for the National SMET Education Digital Library” Coalition for Networked Information, April 9, 2001, Washington, D.C.
U-66 “Gender and Science/Technlogy Digital Learning Resource Workshop”, (with O. Somolui), Association of Women in Science, 2001 (abstract published in AWIS Magazine, Vol. 31, No. 1, pp. 13-14). U-67 “Successful Partnering” at the “Forging Library Partnerships in the Networked Age,” (with L. Zia), Clark Kerr Campus, UC Berkeley, Nov. 2, 2001. U-68 “Evolutionary Synthesis of MEMS Design and Applications”, Distinguished Lecturer Series, Mechanical Engineering Department, University of Maryland, College Park, Feb. 19, 2002. U-69 “Gender Bias in Faculty Hiring, Retention and Promotion”, University of Maryland, Baltimore County, Feb. 20, 2002. U-70 Testimony to California State Senate Select Committee on Government Oversight: “A Hearing to Assess Progress Made by the University of California to Reduce Gender Disparity in Faculty Hiring”, March 11, 2002. U-71 “Engineer of 2020: Visions of Engineering Work and Education in the New Century,” Keynote talk to the Engineering Directorate, Lawrence Livermore National Laboratory as part of the Engineering Opportunities in the 21st Century Conference, March 12, 2003. U-72 “Computer Aided Design for Microelectronic Mechanical Systems (MEMS): Designs that Learn From Nature”, Lecture for E92: Perspectives in Engineering, Oct. 27, 2003. U-73 Engineer of 2020: Visions of Engineering Work and Education in the New Century, Mechanical Engineering Departmental Seminar, Spring 2003. U-74 “Computer Aided Design for Microelectronic Mechanical Systems (MEMS): Designs that Learn From Nature”, Lecture for E92: Perspectives in Engineering, Oct. 27, 2003. U-75 “Research on Educational Digital Libraries,” Stanford University, Center for Design Research, Dec. 10, 2003. U-76 “Creativity in the Innovation Process,” ITRI Researchers, 290 HMB, Dec. 17, 2003. U-78 Engineer of 2020: Women Engineers in the New Century, Women in Science and Engineering Seminar, Foothill Residence Halls, March 11, 2004. U-80 “Ubiquitous Wireless Infrastructure to Support Mobile Learning,” HP/CITRIS 2004 Workshop on Planetary-Scale Applications, Wed., May 26, UC Berkeley. U-81 “Development and the Design Process”, Engineers for a Sustainable World Internship Training, West Coast Session, June 17, 2004. U-82 “Review of Engineer 2020: Phase I Report”, National Academy of Engineering, July 22, 2004. PDF version (12.9 MB); MS PowerPoint (2.2 MB without movies). U-83 “Engineer 2020 NAE Project: Implications for ABET”, ABET Industry Advisory Board meeting, August 27, 2004. U-84 “The Engineer of 2020: Global Visions of Engineering in the New Century,” Keynote Address to the SOMIM (Mexican Society of Mechanical Engineering) Conference, August 2004. U-85 “New Product Development: A UC Berkeley Perspective,” Universidad Nacional Autonoma de Mexico (UNAM), September, 2004. U-86 “The Engineer of 2020: Global Visions of Engineering in the New Century,” Keynote Address Georgia Tech Advisory Board (GTAB), October 2004. U-87 “Automating Keyphrase Generation for Text Document Collections,” (with Jia-Long Wu and William H. Wood), Poster Session, NSDL Grantees Meeting, November 2004. U-88 “The Next Phase of NAE’s Engineer of 2020 Project: Preparing Engineers for the Future”, Mechanical Engineering Conference, March 11-15, 2005, San Diego, California. U-89 “The Engineer of 2020 Project: Global Visions of Engineering in the New Century,” Colloquium, Department of Mechanical Engineering, March 18, 2005, UC Riverside, Riverside, California. U-90 “The Engineer of 2020”, presented at The Jasper Summit – Consulting Engineering: the Next 15 Years, Association of Consulting Engineers of Canada, June 23-25, 2005, Jasper, Alberta. U-92 “The Engineer of 2020: Global Visions of Engineering Practice and Education,” Corporate Technical Fellows Meeting, Bechtel Engineering San Francisco Offices, March 2, 2006. U-93 “Women in Engineering in the Year 2020: Possible, Probable, and Preferable Scenarios,” Stanford University, March 9, 2006. U-94 “Customer/Community-Based Design”, Presented at class on Design for Sustainable Communities, Spring 2006. Download slides on Customer/Community-Based Design and Slides on the Segura Case Study. U-95 “Technology, Pedagogy and Design: Global Visions for the New Century”, June 1, 2006, University of Michigan. U-96 Tribute to Chancellor Denise Denton, June 29, 2006 University of Santa Cruz. U-97 “Is Science Color-Blind?”, Keynote Talk to the 2006 Summer Research Symposium: University of California, Berkeley’s Leadership Excellence through Advanced Degrees Program & the NSF California Alliance for Minority Participation in the Sciences Program, August 10, 2006. U-98 “Understanding Women in Universities Around the Globe: Perspective from the University of California at Berkeley” (with M.A. Mason and A. Stacy). Presentation at the International Alliance of Research Universities (IARU), a consortium of 10 research-intensive institutions on four continents, September 9, 2006, St. Johns College, University of Cambridge, U.K. Download slides. U-99 “Beyond Bias and Barriers: Women in Academic Science and Engineering”. Presentation and discussion with the Society of Women in the Physical Sciences, Le Conte Hall, UC Berkeley, Oct. 10, 2006. U-100 “Beyond Bias and Barriers: Women in Academic Science and Engineering”. Presentation and discussion at a campus-wide symposium at the University of Texas at Austin. Scroll down this link to get a copy of the slides and the poster for the event. Sponsored by the Office of the Provost, the Center for Women’s and Gender Studies, Faculty Women’s Organization, Women in Engineering, and Women in the Natural Sciences. The talk concerned a recent National Academies’ report of the same title. Press coverage: Women underrepresented in professorships despite high grad rates, study shows article in The Daily Texan by Philip Jankowski, January 26, 2007. U-101 “Design for Sustainable Communities: User Needs”, Presented at class on Design for Sustainable Communities, Spring 2007. Download slides. U-102 “K-12 Resources in the NSDL Engineering Pathway,” AAAS Annual Meeting, Feb. 16, 2007. Download Slides. U-103 “Higher Education Resources in the NSDL Engineering Pathway,” AAAS Annual Meeting, Feb. 17, 2007. Download slides. U-104 “Women and Men in the Academy: Beyond Bias and Barriers,”, Yale University, April 12, 2007. U-105 “Beyond Bias and Barriers: Fulfilling the Potential of Women in Academic Science and Engineering,” Smith College, April 13, 2007. U-106 “Beyond Bias and Barriers: Fulfilling the Potential of Women in Academic Science and Engineering,” APS (American Physical Society), April 15, 2007. Download Slides. Citations citations. U-107 “Interactive Evolutionary Computation for MEMS Design”, Industrial Engineering Seminar, University of Oklahoma, April 20, 2007. U-111 “Teaching Women Engineering”, ASME Think Tank Summit, June 10, 2007. U-112 “Engineering Pathway Education Digital Library”, ABET Workshop at ASEE Annual Meeting, June 24, 2007. U-113 “Selecting and Evaluating Digital Learning Materials for Engineering and Pre-Engineering Education”, (with Tront, J. and B. Muramatsu), Workshop at ASEE Annual Meeting, June 24, 2007. U-118 “Sustainable Product Design Using Project Based Learning”, One week short course (20 segments) taught in India as part of the IUCEE project: Indo-US Collaboration for Engineering Education. Mysore, India, July 2008. (Download slides and links). U-119 “Interdisciplinary Opportunities for Women” (download slides). Panel on “A look into the future and the increasing complexity of interdisciplinary careers” at the National Academies Workshop From Doctorate to Dean or Director: Sustaining Women through Critical Transition Points in Science, Engineering, and Medicine September 18-19, 2008, Washington, DC. U-121 “The Challenge of a Responsible Supply Chain”, Presidents’ Circle, National Academy of Engineering, Sustainability in Business, Science and Policy Google, Mountain View, CA, November 5-7. 2008. Download slides. U-122 “CARES, Community Assessment for Renewable Energy and Sustainability: CARES Collection on the Engineering Pathway”, Dar Al Hekma College, Saudia Arabia, January 6, 2009. Download slides. U-123 “Designing Technology for Girls and Women”, Dar Al Hekma College, Saudia Arabia, January 6, 2009. Download slides. U-124 “Sustainable Product and Building Design”, Dar Al Hekma College, Saudia Arabia, January 6, 2009. Download slides. U-125 “Research to Support the Development of a Sustainability Engineering Infrastructure in the Kingdom of Saudi Arabia”, (with Nezar Alsayyad, Ryan Shelby, and Yael Perez), Poster Session, UC Berkeley, January 2009. Download slides. U-126 “How to use the NAE Grand Challenges to Change the Diversity in the ME Discipline?”, presented at the 2009 ASME International Mechanical Engineering Education Conference, March 28, 2009. Presentation Slides. U-127 “Beyond Bias and Barriers: Fulfilling the Potential of Women to Meet the Grand Challenges of Engineering”, SWE (Society of Women Engineers) Regional Awards Banquet, May 2009, University of California at Berkeley. Presentation Slides. U-128 “John McMasters – A Legacy of Sustaining Innovations in Biomimetic Aircraft Design and Engineering Education”, Mudd Design Workshop VII, May 29, 2009. Abstract (with Mera Horne); Presentation Slides. U-129 Keynote Talk at the WIRES (Connecting Women and Completing the Circuit of International Research Collaboration) Conference, June 3, 2009, Barcelona Spain. Download presentation slides (pdf). U-130 “CARES, Community Assessment for Renewable Energy and Sustainability,” June 25, 2009, presentation to the Jordan, Renewable Energy Group, State Department arranged visit to UC Berkeley. U-131 “Green Hat & Engineering Pathway”, (with K. Ryokai and L. Oehlberg), Session on Mobile & Augmented Reality Cyberlearning at the Cyberlearning Tools for STEM Education Conference, March 8, 2011, Berkeley, California. Green Hat was one of the mobile learning programs highlighted in the PBS KQED coverage: Video Games and Simulations Bring Science to Life, KQED, March 10, 2011. U-132 “Distributed AI and Sustainable Design: Smart Products for the Smart Grid”, Keynote Presentation at the AAAI 2011 Spring Symposium on Artificial Intelligence and Sustainable Design. News story: A Role for Artificial Intelligence in Sustainable Design. U-133 “Greening The Internet of Things: Smart Products in a Smart Grid”, Distinctive Voices talk at the National Academy of Engineering by Alice M. Agogino, August 2011. Download Slides. U-134 “Smart People, Products and Buildings on the Smart Grid: Case Study in Smart Lighting,” Tyndall Research Center, Cork, Ireland, June 2012. U-135 “Communities that Enable Smart People, Products and Buildings on the Smart Grid,” Panel on Nurturing the Computational Sustainability Community, 3rd International Conference on Computational Sustainability, July 4-6, 2012, Denmark. U-136 “Enabling Smart People, Products and Buildings on the Smart Grid,” 3rd International Conference on Computational Sustainability, July 4-6, 2012, Denmark. U-137 “Human-Centered Design for Sustainability,” presentation to UNESCO, Paris, France, August 22, 2012. U-138 “Innovations in Context: Longitudinal Study of Alumni from a Multidisciplinary New Product Development Course,” presentation to Frontiers of Engineering Education, National Academy of Engineering, Beckman Center, Irvine, CA, October 15, 2012. U-139 “Greening The Internet of Things: Smart Products in a Smart Grid,” Distinguished Lecture Series, Singapore Institute of Design and Technology, Singapore, November 9, 2012. U-140 “Human-Centric User Research to Identify Disruptive Opportunities in Convergent Paper and Digital Use,” Samsung Innovation Center, San Jose, CA, June 13, 2013. U-141 “Human-Centric User Research to Identify Disruptive Opportunities in Convergent Paper and Digital Use,” Inria Saclay Ile-de-France Research Center, Ecole Polytechnique Universitee, Paris-Sud, France, June 26, 2013. U-142 “History of Wicked Problems – Working with Horst Rittel on Interdisciplinary Design,” Wicked Problems in Socio-Ecological Systems: Symposium and Workshop, Oct. 26-27, 2013, Berkeley, CA. Slides with notes. U-144 Spoke at the kick-off panel at Oakland’s first Global Sustainability Jam, Nov. 23, 2013. The Jam is a non-profit activity organized by an international network of service and sustainability designers. U-145 Valuing Design, Spring Design Innovation Seminar Series, College of Engineering, UC Berkeley, May 2, 2014. 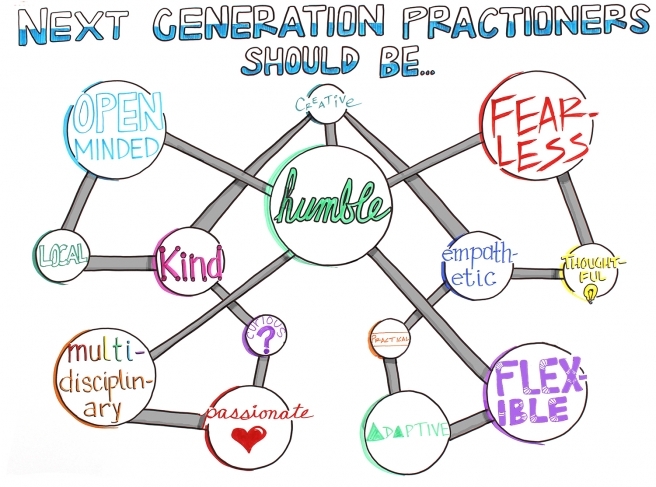 Slides, YouTube Video, and Abby Van Muijen’s fab Visual Design Notes of the seminar. U-146 Awardee and Keynote Speaker at Assemblymember Nancy Skinner STEM Women of the Year, June 26, 2014. Slides. 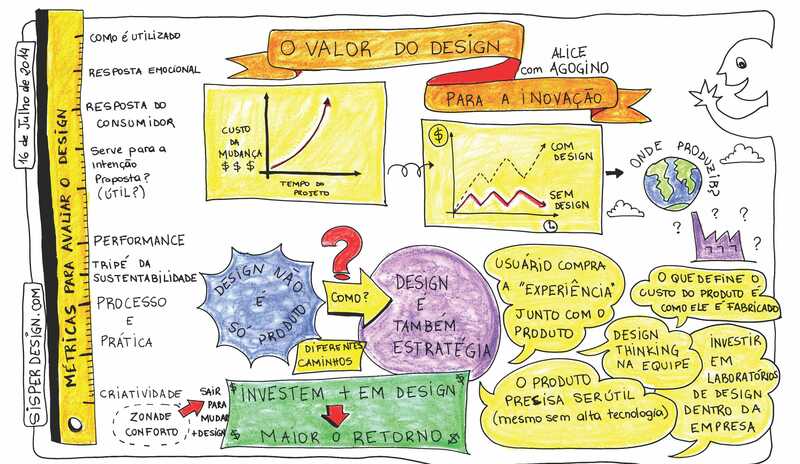 U-147 “The Value of Design on Innovation”, Roundtable Discussion, CEOs of InBetta Group, Brazil, July 16, 2014. Slides and Visual Notes. U-149 “Can Sustainable Design Drive Innovation, Reduce Costs and Increase Quality?”, Innovation, Competitiveness and Design (ICS), Brazil, July 17, 2014. Slides or Video. U-152 “How Sustainable Design Can Drive Innovation Globally”, Engineers for a Sustainable World, UC Berkeley, February 4, 2015. Slides (pdf). U-154 “Soft Robots Using Compliant Tensegrity Structures and Soft Sensors”, (with Chen, L.-H., P. Keegan, M. Yuen, R.K. Kramer, A.K. Agogino and V. Sunspiral) ICRA Workshop on Soft Robotics, Abstract. U-155 “Seeking Solutions: Maximizing American Talent by Advancing Women of Color in Academia”, ASEE Panel (with Valerie E. Taylor [Chair], Edward Lazowska, Lydia Vila-Komaroff), June 16, 2015. SeekingSolutionsASEE2015. U-156 “National Academies Report on Career Choices of Women Engineers”, ASEE Distinguished Lecture, June 17, 2015. Slides. U-157 “Tensegrity Robots for Space Exploration,” Bay Area Robotics Symposium (BARS), Oct. 23, 2015. Video and Slides (w/o video). U-158 “BiD, Wicked Problems & Design Thinking,” Talk at the 10th anniversary reunion of the Berkeley Institute of Design, UC Berkeley, Dec. 9, 2015. Slides. U-159 “Improving Innovation with Diversifying Engineering Career Choices,” Keynote Speaker for National Engineers Week, Society of Women Engineers, Willamette Valley, Feb. 22, 2016. Slides. U-160 “Valuing Design,” Seminar, School of Mechanical, Industrial and Manufacturing Engineering, Oregon State University, Feb. 23, 2016. Slides. U-161 “From Mobiles to Drones: The Next Leapfrog Technologies”, Panel at the Clinton Global Initiative University (CGI U), April 2, 2016. U-162 “Opening Remarks: FoodInno2016″, Berkeley-Stanford Food Innovation & Design Symposium, (with L. Leifer), May 2016. U-163 “Precision Hopping/Rolling Robotic Surface Probe Based on Tensegrity Structures,” (with A.K. Agogino), NASA Tensegrity and Soft Robotics Technical Exchange, NASA Ames, Intelligent Systems Division, July 14, 2016. U-164 “Tensegrity Robots with BEST Robotics”, Summer Fun Weeks, Lawrence Hall of Science, Aug. 3 2016. U-165 “Development Engineering: Actionable Research and Global Impact,” Keynote Speaker, Engineering for Global Development Research Forum, ASME International Design Engineering Technical Conference, Aug. 23, 2016. View Video. Download flyer. Download Slides. U-166 “Entrepreneurial Mindset”, (with Ilya V. Avdeev and Leticia Britos Cavagnaro), 2016 Symposium: 21st Century Mindsets and Strategies for Career Advancement, Minority Faculty Development Workshop (MFDW16), UC Berkeley, Sep. 23, 2016. U-167 “Development Engineering: Actionable Research and Global Impact,” Tata Center, M.I.T., Nov. 10, 2016. Download Slides. U-168 InFEWS (Innovations in Food, Energy, Water, Systems): A new graduate program at UC Berkeley starting Fall 2016″, TechCon 2016, November 9, 2016. Poster Session. Download Poster. U-169 “Successful University-NGO Partnerships: an Interactive Exercise to Build Consensus“, TechCon 2016, USAID, Media Lab, MIT, Nov. 11, 2016. Interactive Panel:Iain Hunt, Manager, Sustainable Engineering for International Development Initiative, Villanova University; David Leege, Director, University Engagement and Research, Catholic Relief Services; Alice Agogino, Education Director, Blum Center for Developing Economies, University of California at Berkeley; Thomas Woodson, Assistant Professor, Dept. of Technology and Society, Stony Brook University. Download Visual recording of interactive session. Download Slides. U-170 “Engineering an Ecosystem: Do ‘Knowledge Platforms’ Really Deliver?”, Panel, TechCon 2016, USAID, Media Lab, MIT, Nov. 12, 2016. Panelists: Alice Agogino, Roscoe and Elizabeth Hughes Professor of Mechanical Engineering; Robert Hauck, Chief Mechanical Engineer (Retired), GE Healthcare; Iana Aranda, Director of Programs, Engineering for Change. U-171 “Closing Plenary – Visions for Next Generation Practitioners”, TechCon 2016, USAID, Media Lab, MIT, Nov. 12, 2016. Panel: Ticora V. Jones, Alice M. Agogino, Grace Nakibaala, Gabriel Vanderhey, and Grace Lang. Download Agogino’s Slides. Download Visual recording of interactive session: Part 1 (Realistic, Connected, Humble, Relentless, Grounded) and Part 2 (Humble, Fearless, Flexible, Open-Minded, Multidisciplinary, Adaptive, Passionate, Kind, Empathetic, Local, Creative, Thoughtful, Curious, Practical). U-172 “Development Engineering and Children’s Health,” Engineering for Children’s Health Symposium, Jan. 12, 2017. Video and slides. U-173 “Design for Social Impact: Multiple Dimensions of Diversity in Science, Mathematics, Engineering and Medical (STEM) Education and Careers,” WST (Women, Science & Technology) Distinguished Lecture, Georgia Tech, Feb. 28, 2017. Slides. U-174 “Design for Social Impact: Socially Engaged Engineering and Computing”, Keynote Speaker, Tau Beta Pi sponsored Engineering and Computing week , Miami University, April 5, 2017. Slides. U-175 “Improving Innovation with the Diversifying Power of Women Engineers,” Society of Women Engineers (SWE) Overnight Host Program, April 21, 2017. Slides. U-176 Impacts and Engagement: The Intersection of Science, Technology & Society, Cal Day/ Earth Day, Stand Up for Science, Center for Information Technology in the Interests of Society, UC Berkeley, Saturday, April 22, 2017. Slides. U-177 Presentation to Associate Administrator Steve Jurczyk, NASA Space Technology Mission Directorate, June 8, 2017, BEST Lab, UC Berkeley. U-178 Presentation and demo for NASA Marshall Space Flight Center Robotics Academy, July 21, 3:30-4:15 pm, BEST Lab, UC Berkeley. U-179 “Trajectory Tracking Control of a Flexible Spine Robot, With and Without a Reference Input“, Poster and Lightning Talk, (with Andrew Sabelhaus), Conference on Adaptive Systems and Hardware, JPL, Pasadena, CA, July 26, 2017. U-180 “Tensegrity Robot Locomotion Simulations and Experiments“, Poster and Lightning Talk, (with Brian Cera and Edward Zhu), Conference on Adaptive Systems and Hardware, JPL, Pasadena, CA, July 26, 2017. U-181 “Hopping and Rolling Tensegrity Robots for Space Exploration”, (with Lee-Huang Chen, Ed Zhu, Mallory Daly, Alan Zhang, Brian Cera, Jianlan Luo, Adrian Agogino), Conference on Adaptive Systems and Hardware, JPL, Pasadena, CA, July 26, 2017. U-182 Presentation and demo for NASA Marshall Space Flight Center Robotics Academy, July 21, 3:30-4:15 pm, BEST Lab, UC Berkeley. U-183 Living Machines presentation and Demo, July 28, 2017, BEST Lab, UC Berkeley. U-184 “Design and Fabrication Methodology for Customizable, Multi-Material Prosthetic Hands for Children”, (with Daniel Lim, Adam Hutz, Euiyoung Kim), ASME International Design Engineering Technical Conference (IDETC) 2017. (abstract; slides). U-185 “Valuing Design”, Renault-Nissan Hackathon, September 11, 2017. Slides. U-186 “Opening Remarks”, Impact Design Educational Summit, November 6, 2017. Funded by the Autodesk Foundation. See: Blum Center Receives First Higher Education Grant from the Autodesk Foundation. U-188 “Expanding Engineering Limits: Social Justice in Engineering”, Stanford University, March 8, 2018. Slides (pdf). U-189 “Designing Global Systems Research,” Panel at the NSF-funded Design Circle Workshop, March 21-24, 2018, Oregon State University. Slides (pdf). U-190 NSF NRT Grantees Meeting, “STEM Training for Actionable Research and High Impact“, Panel on InFEWS grantees, Sep 26, 2018. U-191 NSF NTR Grantees Meeting, “Designing for Diversity and Global Impact“, Sep. 27-28, 2018. U-191 theDesignExchange – collaboration meeting with the Design Society, Oct. 10, 2018. Slides. U-192 “Sexual Harassment of Women: Climate, Culture, and Consequences in Academic Sciences, Engineering, and Medicine,” Panel on the State of Women in Engineering 2018, Society of Women Engineers Annual Meeting, 2018. Video. U-193 “Machine Learning for Automated Sensor Selection for Energy Fault Detection“, (with R.L. Hu, J. Granderson, D.M. Auslander), Women in Machine Learning Workshop. 2018. Presented by Lily Hu. U-194 “How to Be an Effective Mentor”, Panel at New Faculty Orientation, UC Berkeley, 17 January 2019. COE-NewFaculty 2019. O-1 A. Agogino and K. Goebel (2007). BEST lab, UC Berkeley. “Milling Data Set “, NASA Ames Prognostics Data Repository (http://ti.arc.nasa.gov/project/prognostic-data-repository), NASA Ames Research Center, Moffett Field, CA. Download zip file of milling data. O-2 NASA Tensegrity Robotics Toolkit (NTRT). My research lab contributed to this collection of C++ and MATLAB software modules for the modeling, simulation, and control of Tensegrity Robots. U.S. Patent Application 11/099,786: Engineering design system using human interactive evaluation, Alice M. Agogino, Raffi Kamalian, Hideyuki Takagi, 2005. Patent was questioned for futher investigation and the UC Berkeley campus decided not to pursue. Interestingly, the patent application has been cited in other patent applications. Citations. U.S. PatentUS 8924909 B2 “Microelectromechanical system design and layout,” Jason V. Clark, Dec. 19, 2013. Cites P-79, P-80, P-87 and more. “DNA structured linear actuator“, (with K. Zampaglione, L.-H. Chen and A. Sabelhaus), Application #15814176, patent filed, under review. “Modular rod-centered, distributed actuation & control architecture for spherical tensegrity robots“, (with L.-H. Chen, A. Khaderi, A.Y. Lim, K. Kim, D. Moon, P. Keegan and A.K. Agogino), UC. Patent Application US 2018/0326577 A1, publication date November 15, 2018. “Elastic lattices for design of tensegrity structures and robots,” (L.-H. Chen, M. Daily, A. Sabelhaus, and A.K. Agogino), Provisional Application N0. 28533291.